A Beautiful Day of Classic Cars! Are you ready for a picture heavy post? I do take pity on my readers, you know. Too much reading, and you might get goofy. 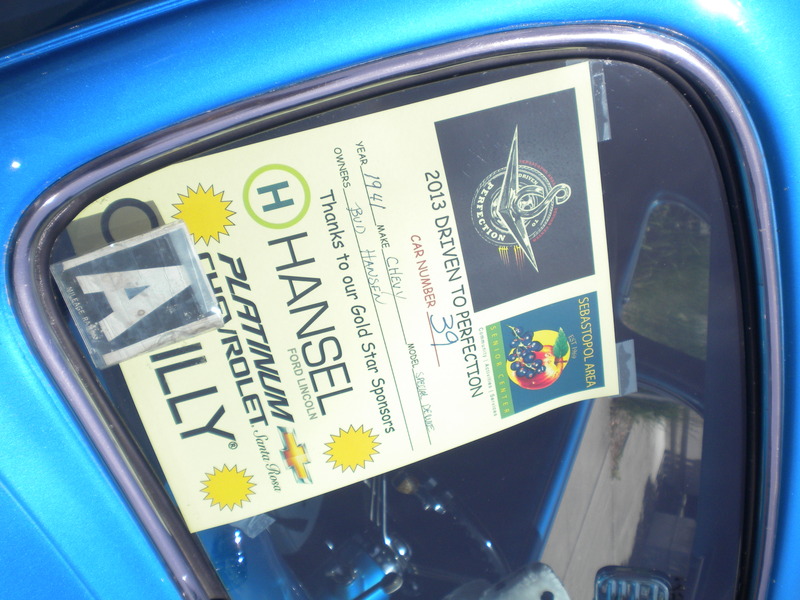 On a bright and sunny summer weekend, under blue skies, a local media company hosted a relatively small car show. Small, but mighty. 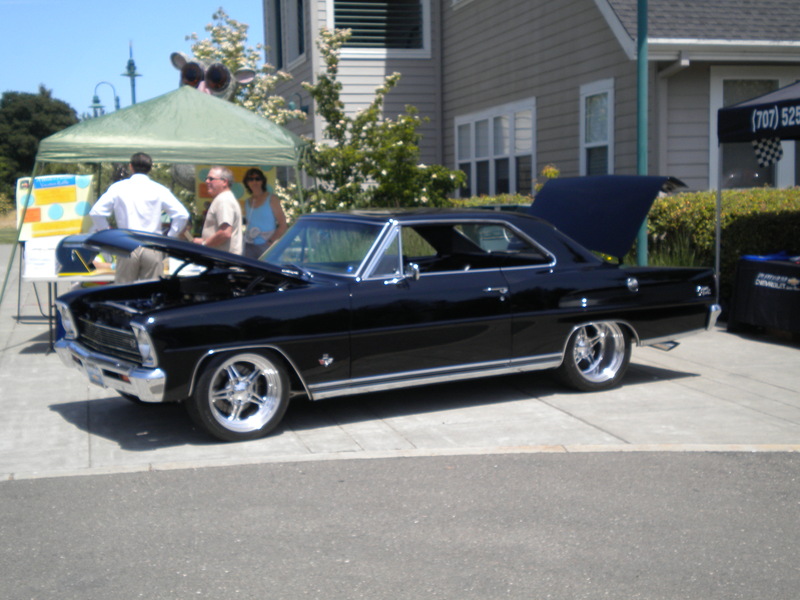 Many of the cars were classic Chevys and Mopars. There were some Fords, but not nearly as many as the Mopars in attendance. 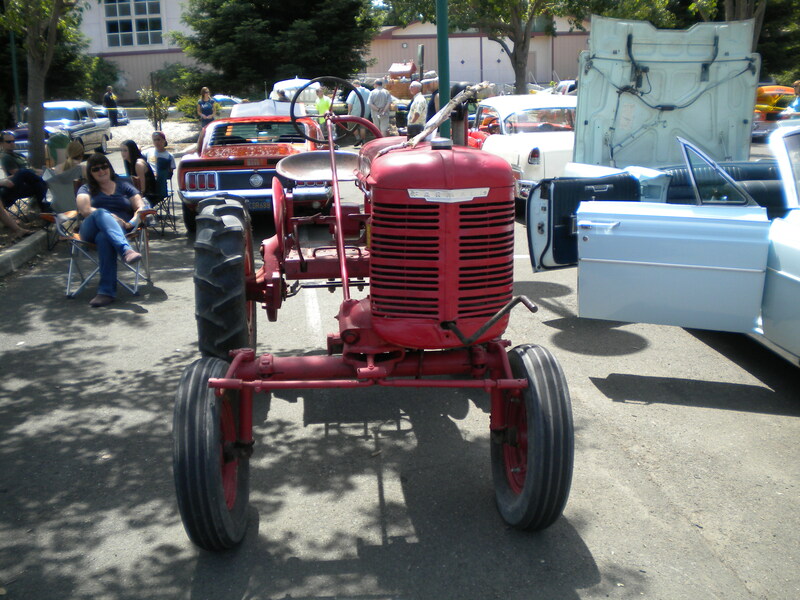 There was a spectacular Massey-Fergusson tractor from 1947, as well. I wanted to share my photos of these beautiful cars with you. Enjoy my wonderful pictures. I want you to know the definition of an automotive term. Pro-touring: Pro-touring is where a classic car is given the performance of a modern-day supercar. While the term, “sleeper” comes to mind, it really doesn’t apply to pro-touring. 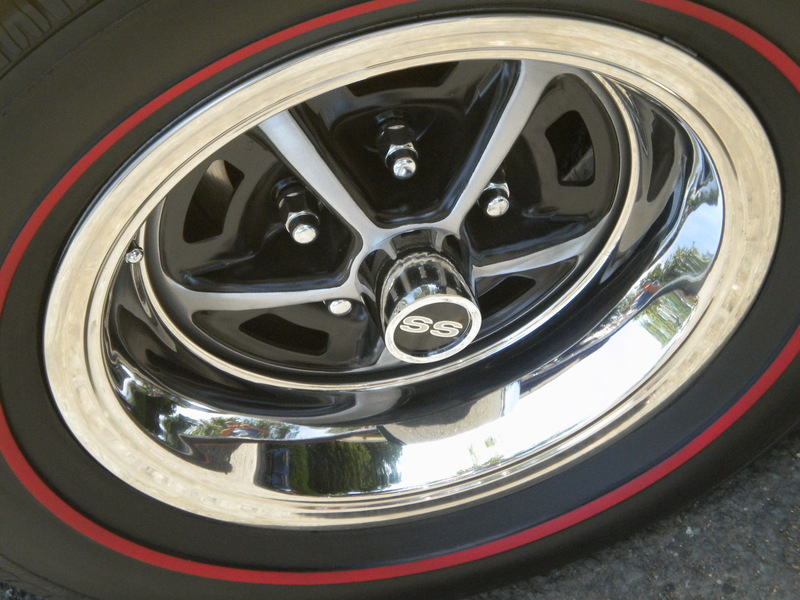 Pro-touring cars typically have stylish rims, flashy paint jobs, and LOTS of chrome. 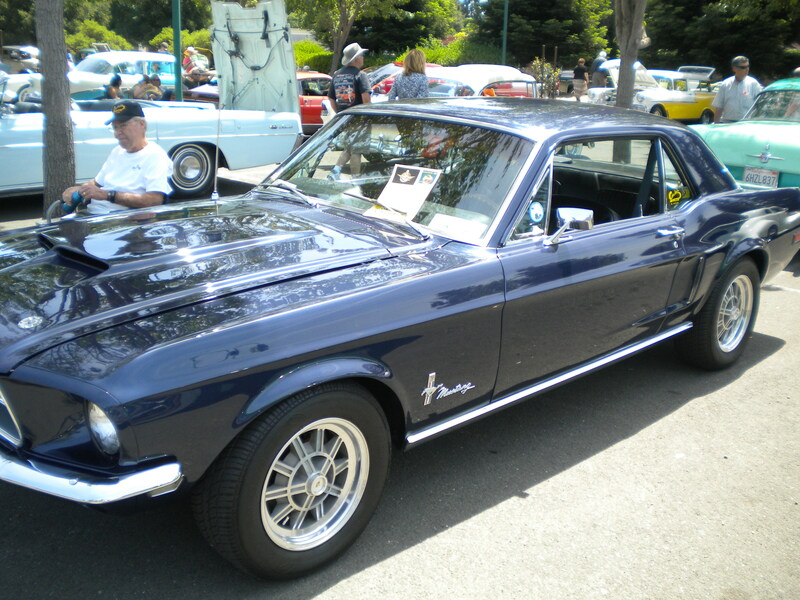 A lot of pro-touring cars were in attendance at this car show. I wish that you could have been there to see them with me. That’s what next year is for! This 1965 Chevrolet Corvette Stingray Coupe is truly the nicest C3 Corvette that I’ve ever seen. 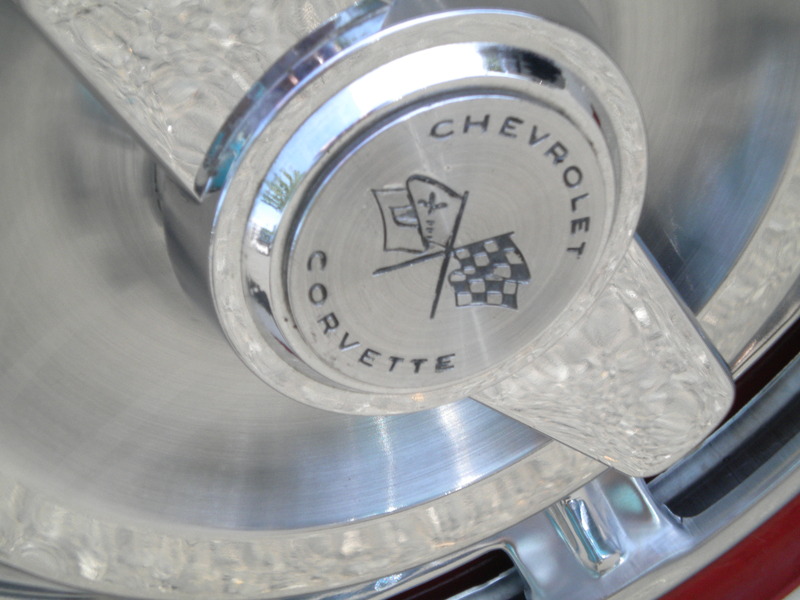 Very few 1965 Corvettes made it out with the L72 big-block engine. I want – make that need this Corvette! Mark Hoffman’s wonderful 1965 Chevrolet Corvette Sting Ray has won the Top Flight Award from N.C.R.S., the people who decide which car goes home with one of the most prestigious awards in the world! Lucky for Mark Hoffman – he’s won it. Twice. The interior is as nice, if not nicer than the exterior. I will apologize in advance for the photos of the exterior. I was as far away as possible from it, but there were a couple hundred cars there. I was almost sitting on one. 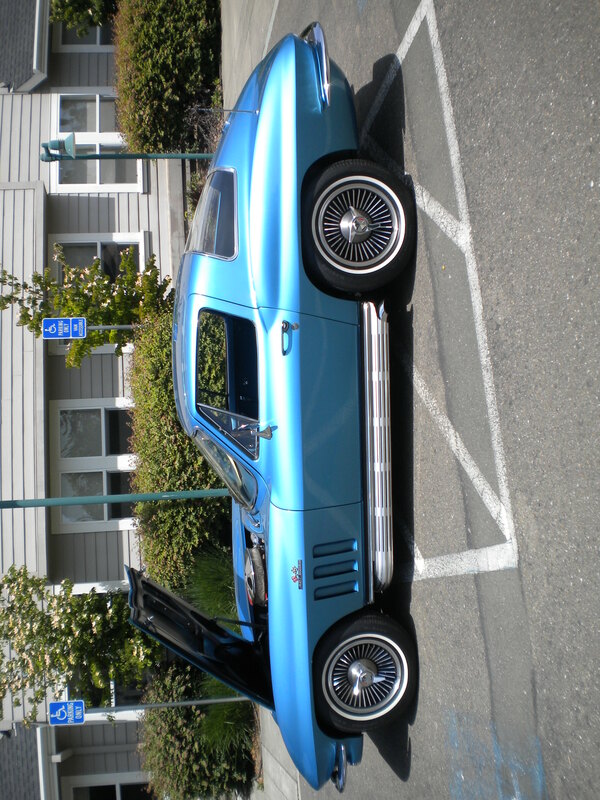 If you see a nicer Corvette than this, send me pictures. This is the nicest Corvette I’ve ever seen. Here’s the meticulous engine bay. It deserves to be mounted on a stand or something like that. It’s perfect. 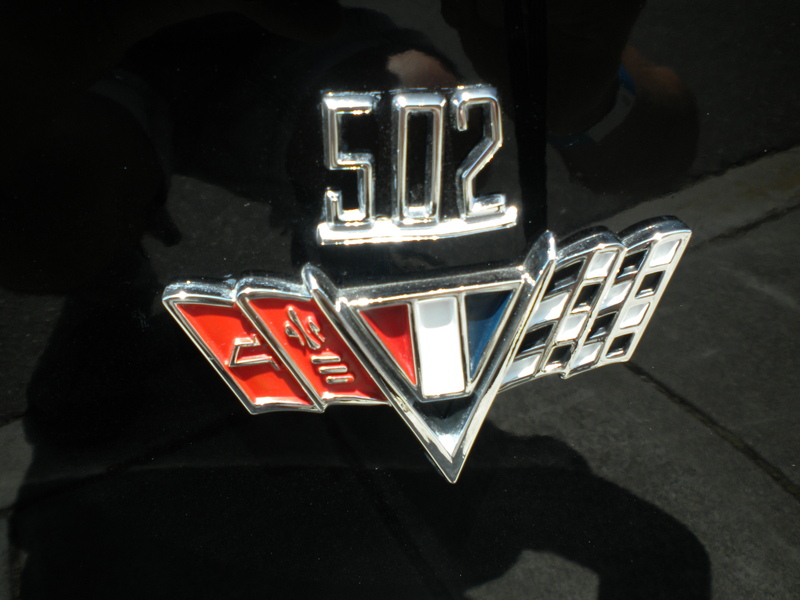 Here’s the old Corvette logo. 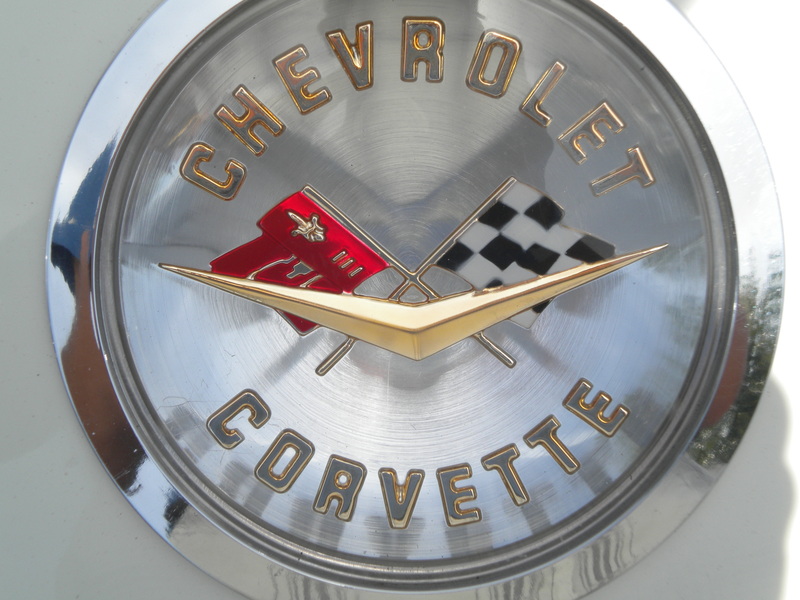 If you’re old enough, you’ll know that the Corvette logo has changed over the years. 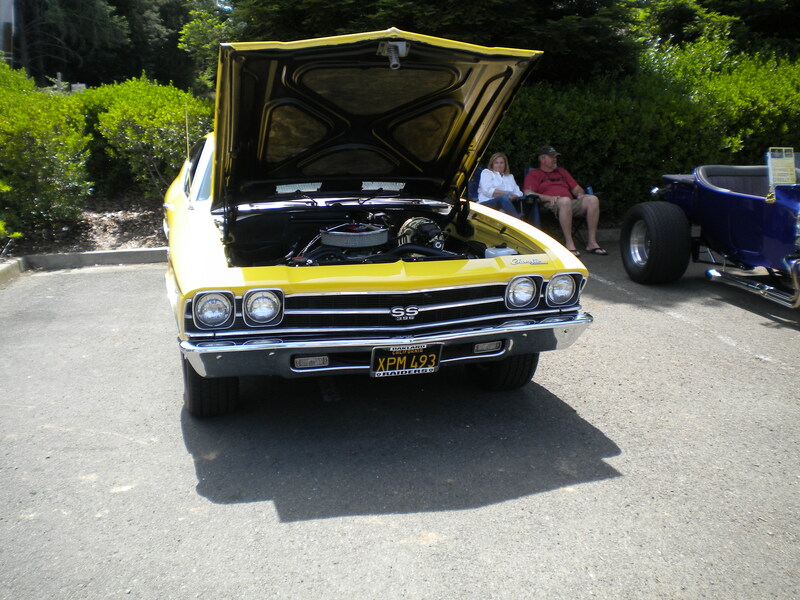 Onto the next Chevrolet, which happens to be a banana-yellow 1967 Chevrolet El Camino SS396. Enjoy the stunning pictures of this El Camino. If you look closely, you’ll notice that there are disc brakes hiding behind that wheel. That’s the rear wheel. 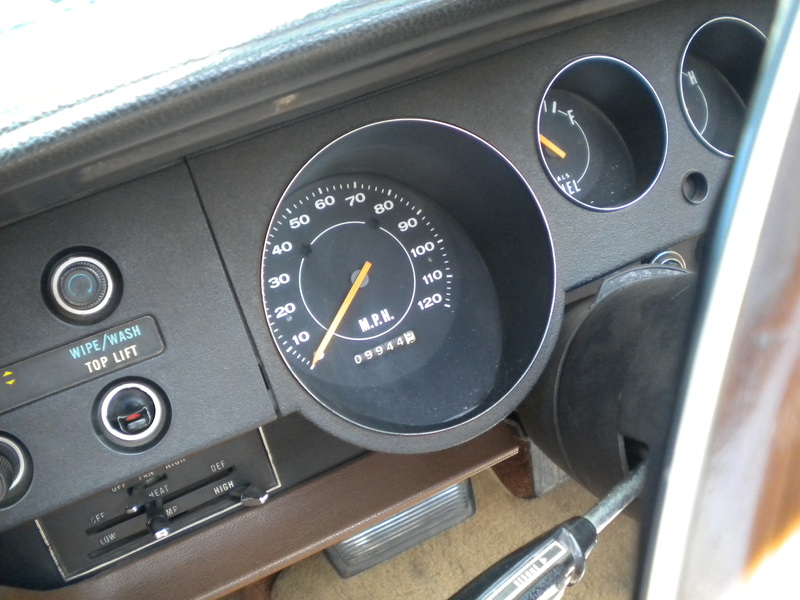 The El Camino was so fast that it needed discs at all four corners to stop it. Barely. 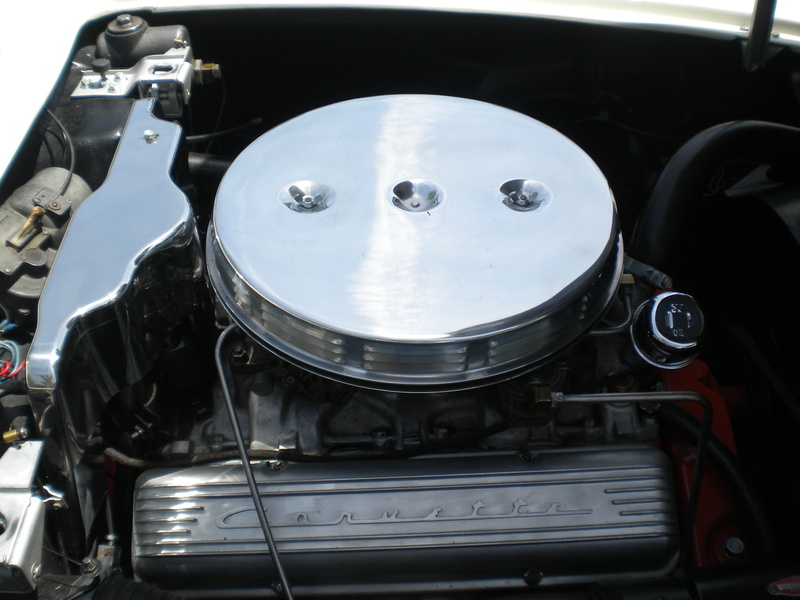 The 396 cubic inch (6.5L) V8 was the big, bad engine from Chevy. 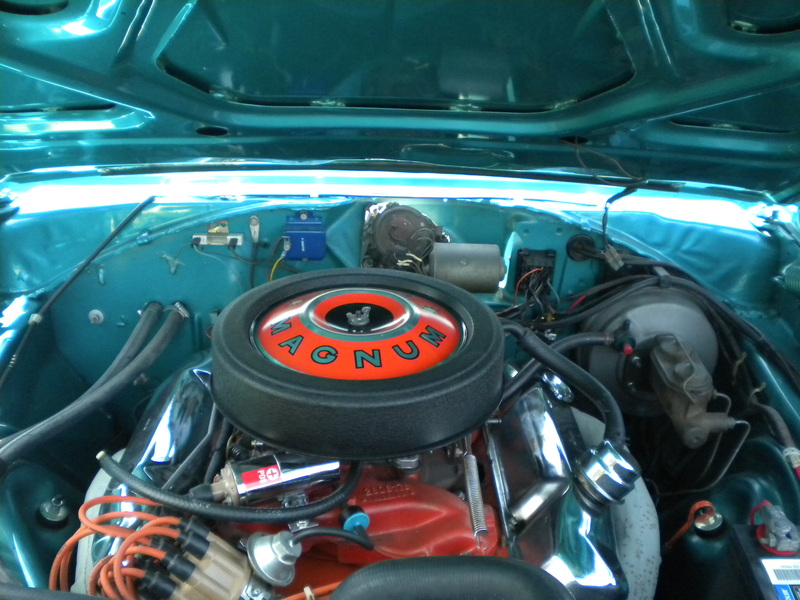 That is, until the 454 cubic inch engine came out. 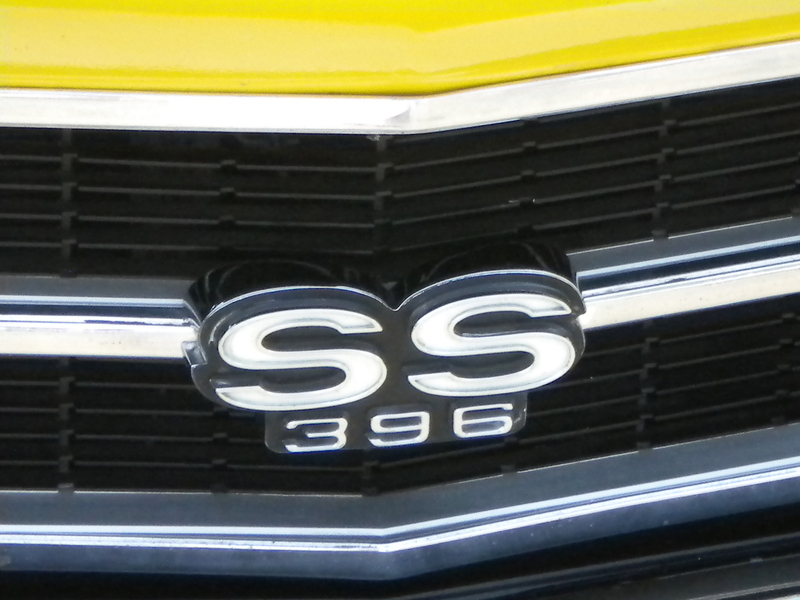 But, the 396 is nearly as fast, just as fun, and easier to control, thanks to the lower horsepower and weight. Like the logo? If you don’t, then you won’t like many logos from the 20th century. In this picture, it is easy to notice how low the engine is. It’s that way so it lowers the center of gravity. It also kills the suspension. This is what you did before you got into the car. You wiped your shoes. That way, the mud and grime on the bottom of your shoes didn’t melt and stink up the car. 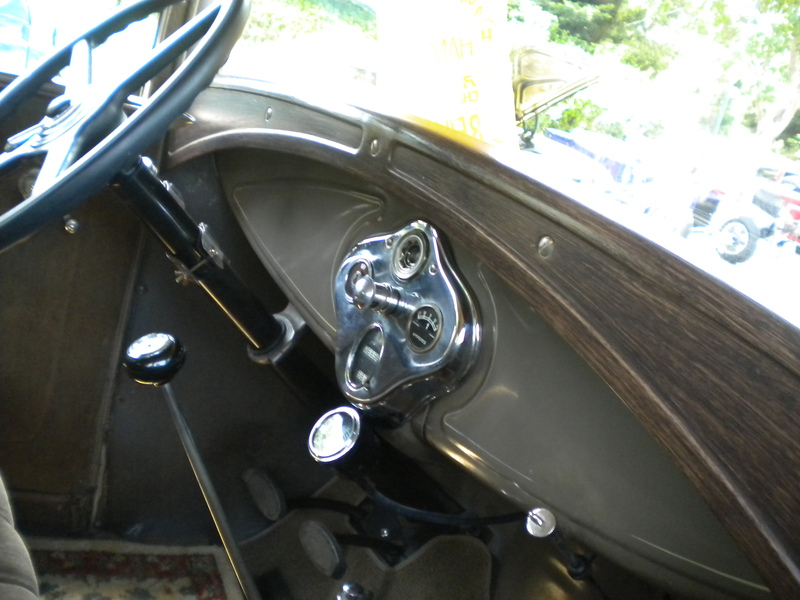 The interior is spartan, but then again, most interiors were until the 1950’s. 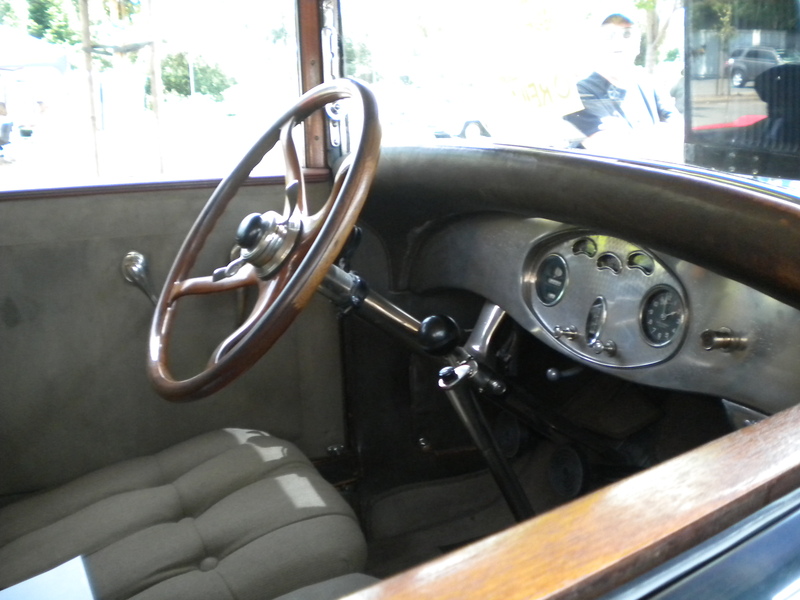 However, this interior was considered to be range-topping in the 1930’s. It’s a rare four-door model. 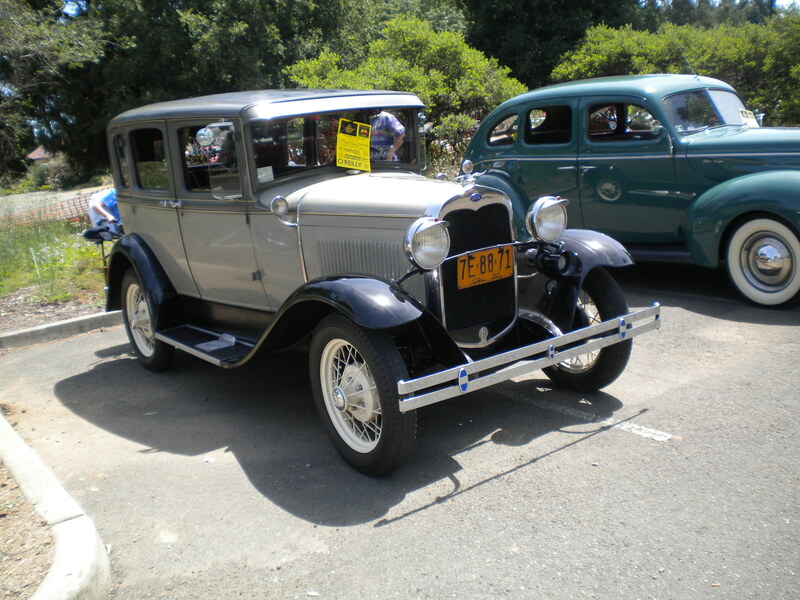 Two-door Fords from the 1930’s always command a large premium over the four-doors for some inexplicable reason. However, they are a dime a dozen. 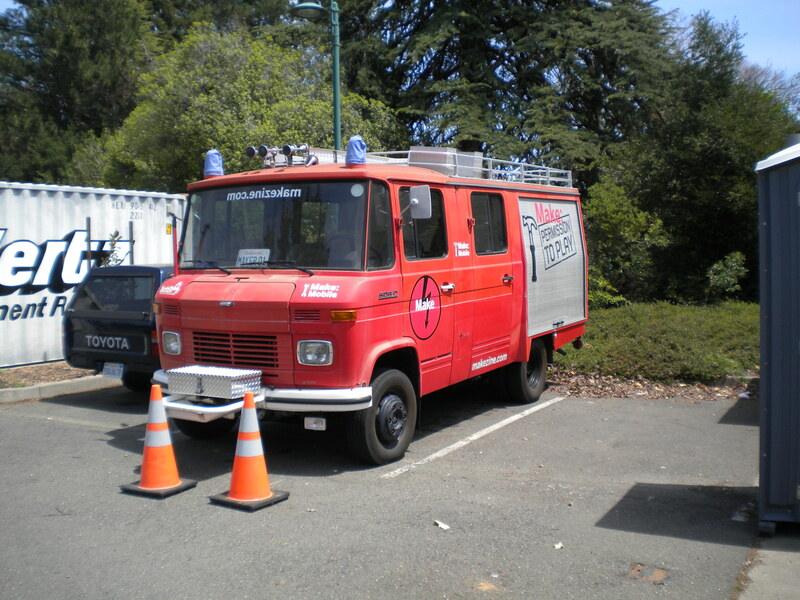 All I know about this truck is that it is a retired fire truck from a local magazine called Make. I have no idea as to who made it or converted it to a big shop truck. If you know, PLEASE let me know in the comments section! In any case, it’s cool. Who do you call when you have a mechanical failure with a various gadget? If you answered Ghostbusters, close this page right now and find the nearest brick wall. Then, bang your head against it. You call Make magazine! 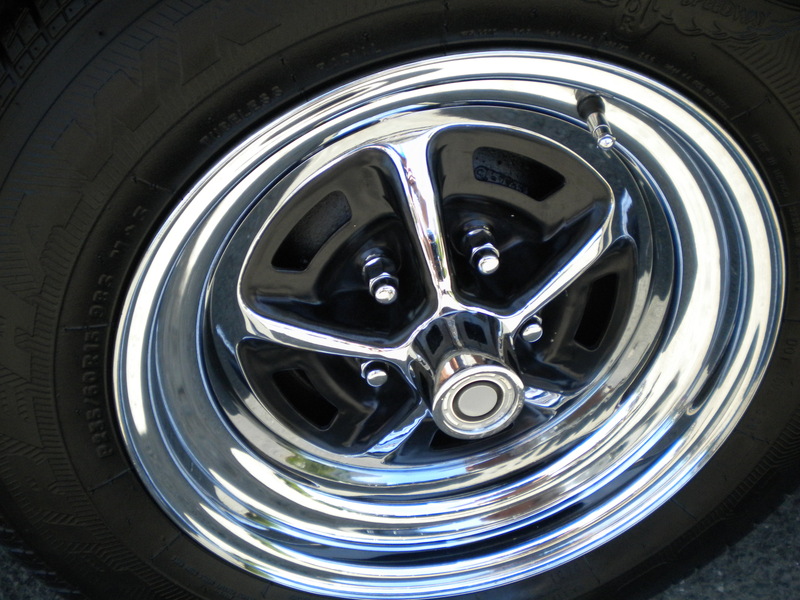 Do you know who made the car that has these wheels? If you don’t, they belong to a 1949 Oldsmobile Rocket 88. I love the wheel arch cover thingy. Blast off into outer space? Maybe not. But, you will win a drag race against a current-generation Chevrolet Camaro. With the V6, that is. 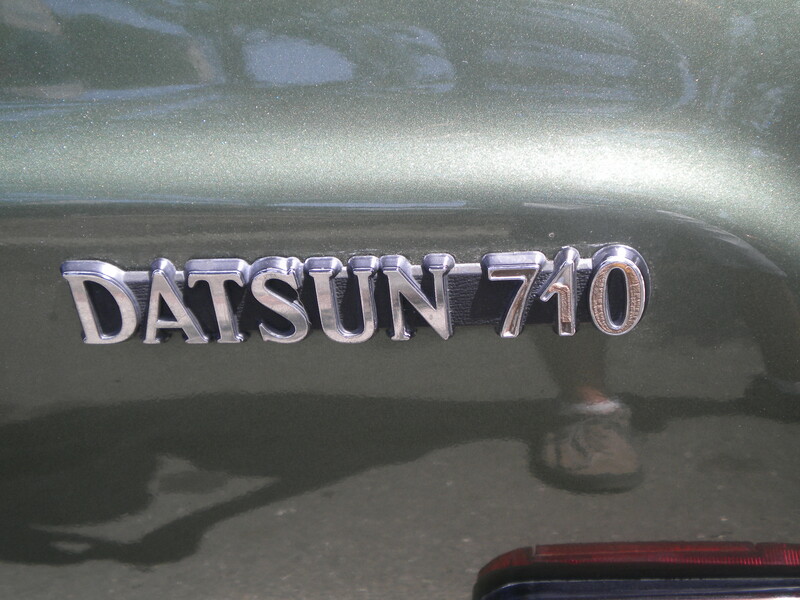 Notorious for being hard to handle, yet rewarding, the Datsun 710 started life as an economy-oriented family sedan in Japan and Australia. Soon, they were bombing around the Outback and Africa in rallies. Accidents were common, but they were mostly due to driver incompetence. 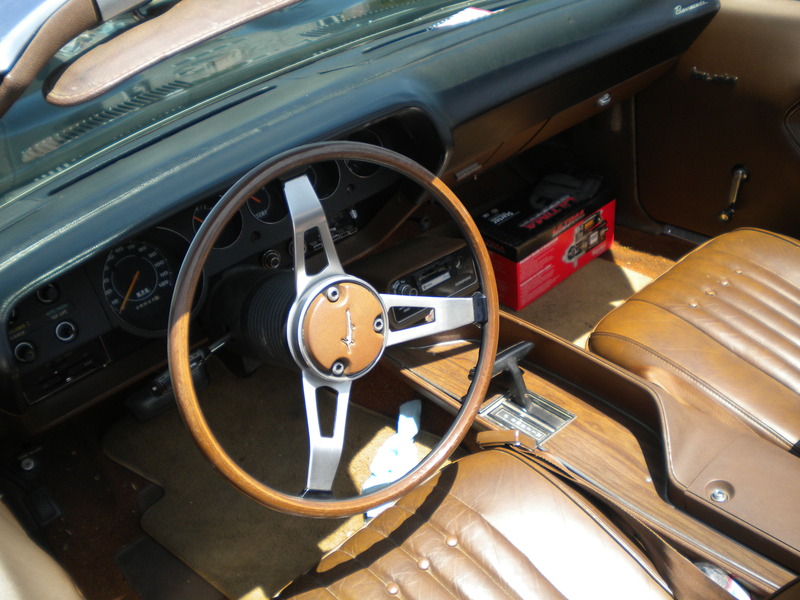 The only leather in the interior is on the steering wheel. 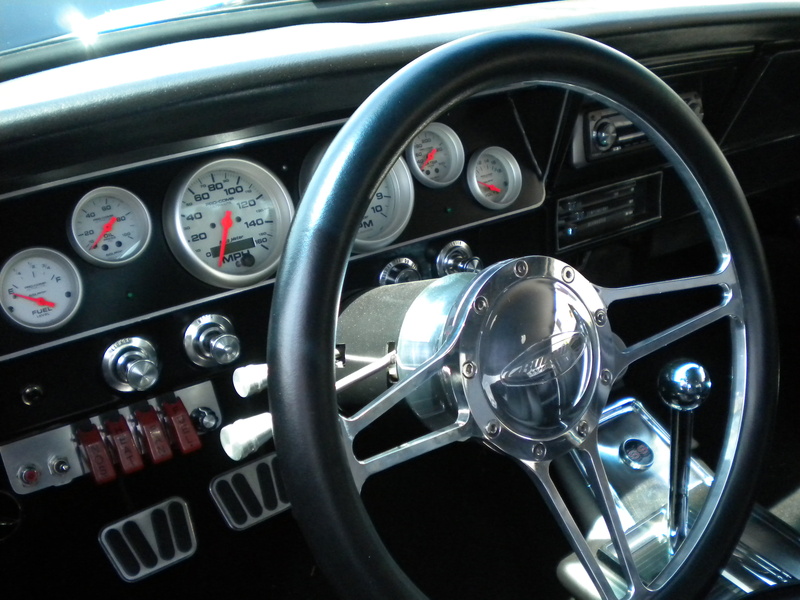 The rest of the interior is either vinyl or chrome. The radio is bone-stock. If you need a tractor for something, you should definitely try and find a 1946 McCormick Farmall Cub like this. We have a Cub Lo-Boy, but not nearly in as good condition. However, in a few years, we will take the blue ribbon. Just watch. The reason the main part of the tractor is so far to the left is because you can see where you are going, and not run over crops or small animals. And, yes, the lady sitting in the camping chair is the owner. She restored it with her husband on the weekends. 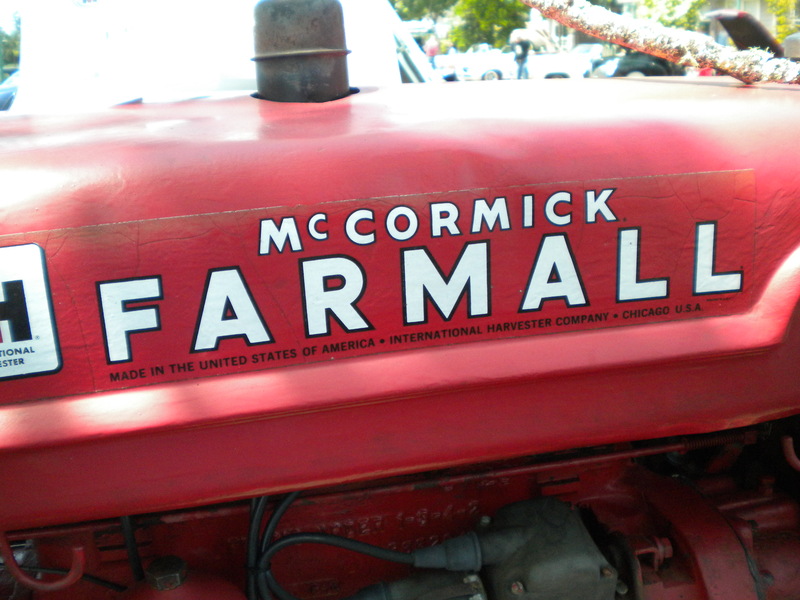 Farmall made the tractors, but McCormick made a lot of the running gear, so they are McCormick-Farmall Cubs. 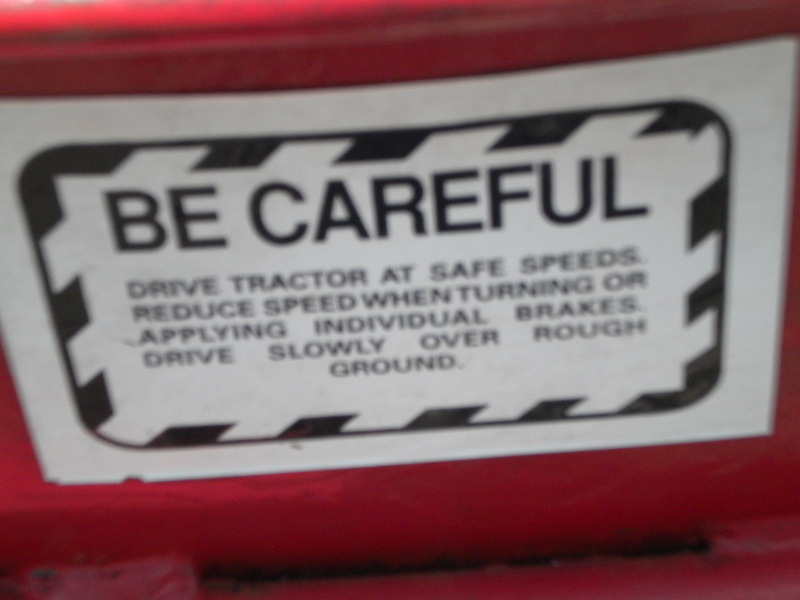 All tractors should have this rather severe warning. Remember, BE CAREFUL!!! This sticker deserves to be on here. All of them do. 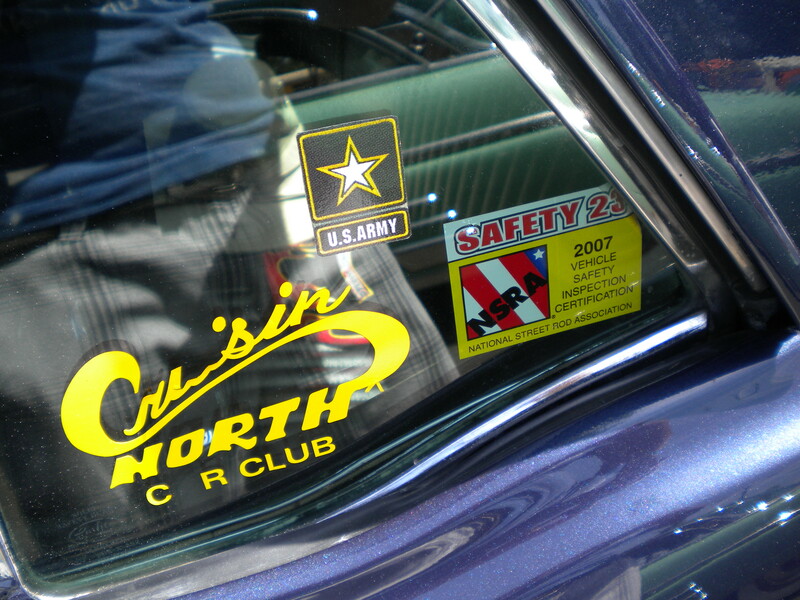 They belong to the beautiful 1968 Ford Mustang Shelby GT500KR that will be shown after this picture of the stickers. This 1968 Ford Mustang Shelby GT500KR is one of a handful remaining. It was bought new in 1968 by a young captain in the U.S. Army. He drove it for a year, before never returning home from Vietnam. 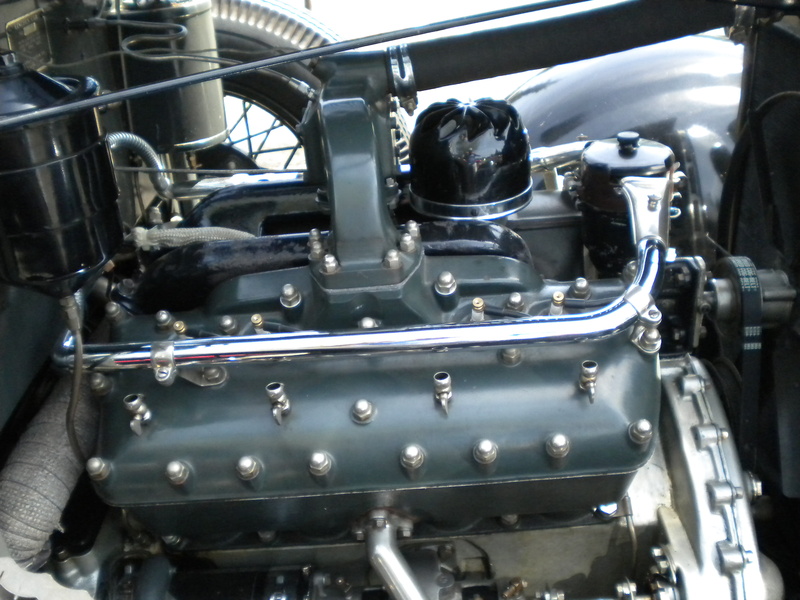 The car was garaged and driven weekly until 2011, when a complete restoration took place. It’s a fitting tribute to somebody who loved his car so much. 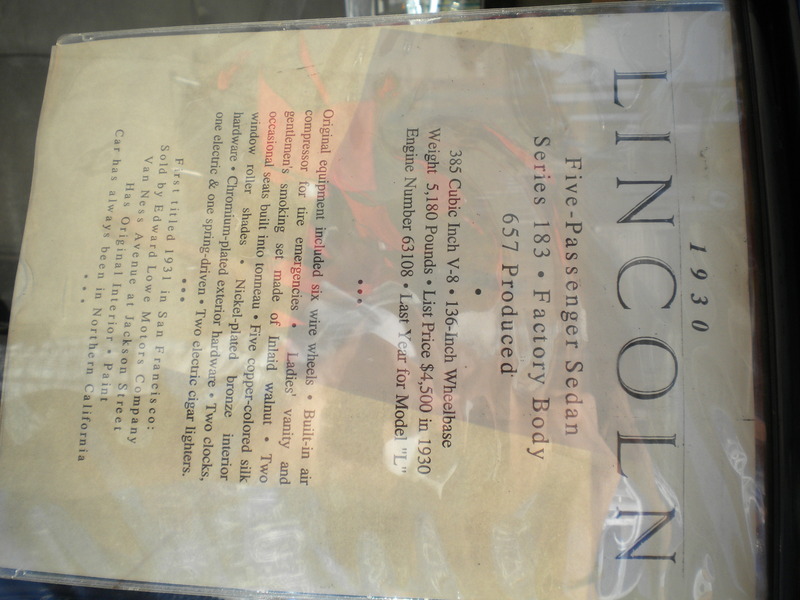 If you’re a fan of opulence from the 1930’s, then you’re in luck with this 1934 Lincoln Continental. 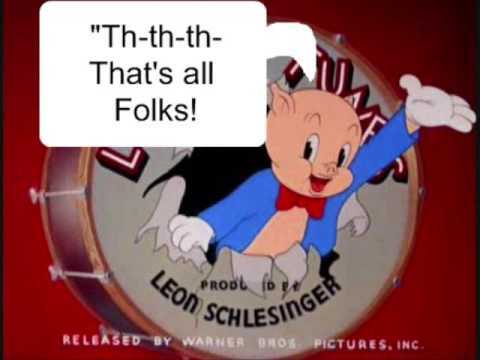 It originates from Chicago, where it was bought new by a little old lady. It ended up here in California in the late 1990s, where the current owner restored it with his friends. It’s simply spectacular. It commands a presence that no other car on the road today has. This is the technical specs sheet printed up by the owner’s son. 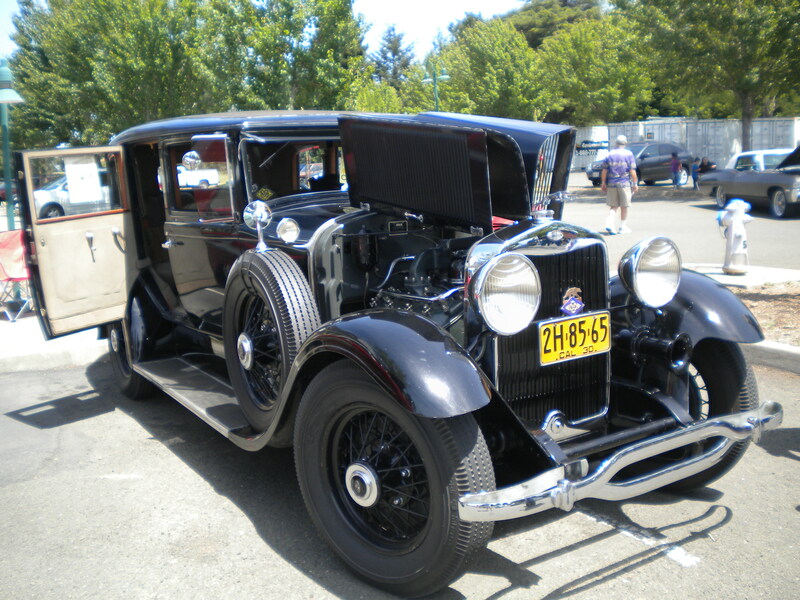 The car was sold new in San Francisco in 1931, and has remained in Northern California since new. 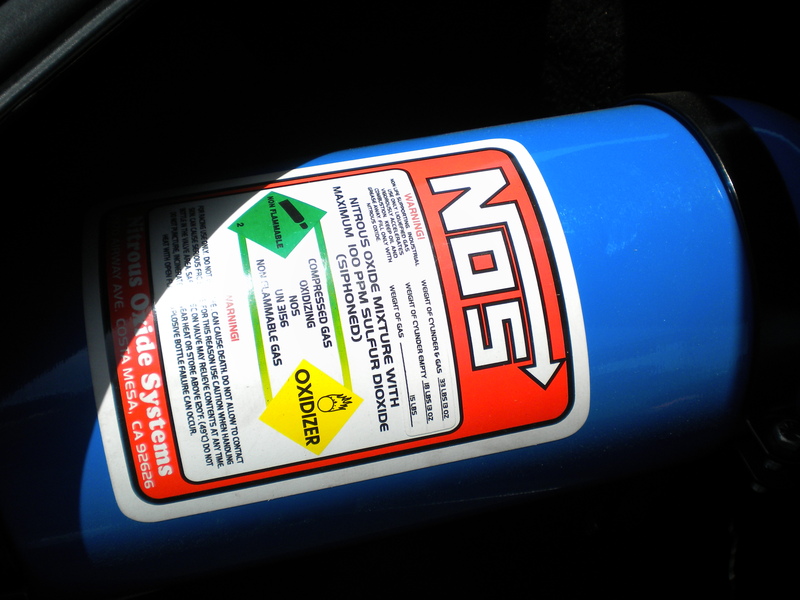 it commands a presence that no other car at the show or currently on the road has. 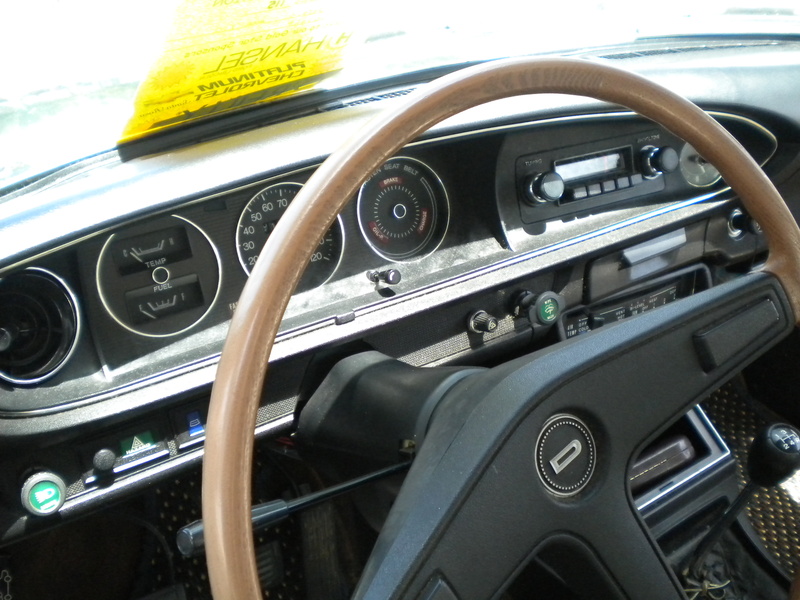 The interior might seem bare compared to a new Lincoln Navigator, but it was top-of-the line until the late 1960’s, when leather became popular. Cloth was THE thing to have in your car for a very long time. 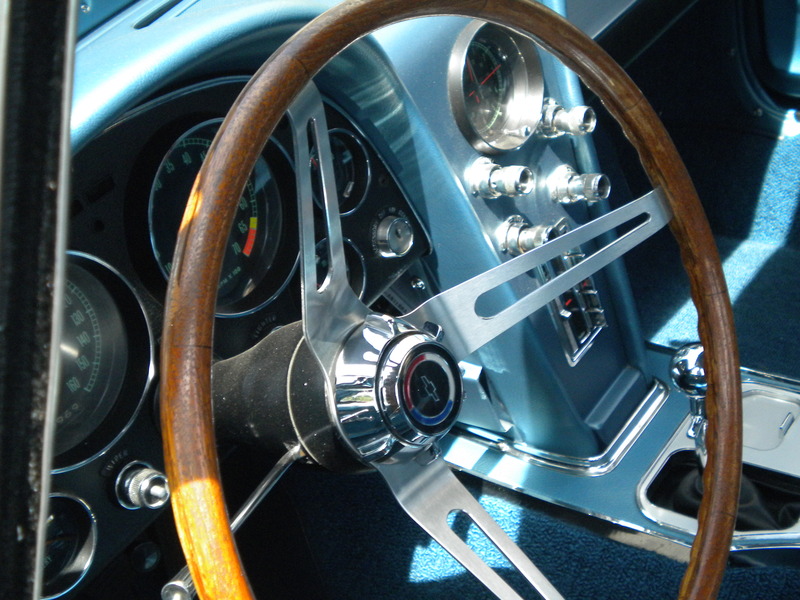 The steering wheel is made out of burled walnut wood. It’s spectacular how much work went into building this car. 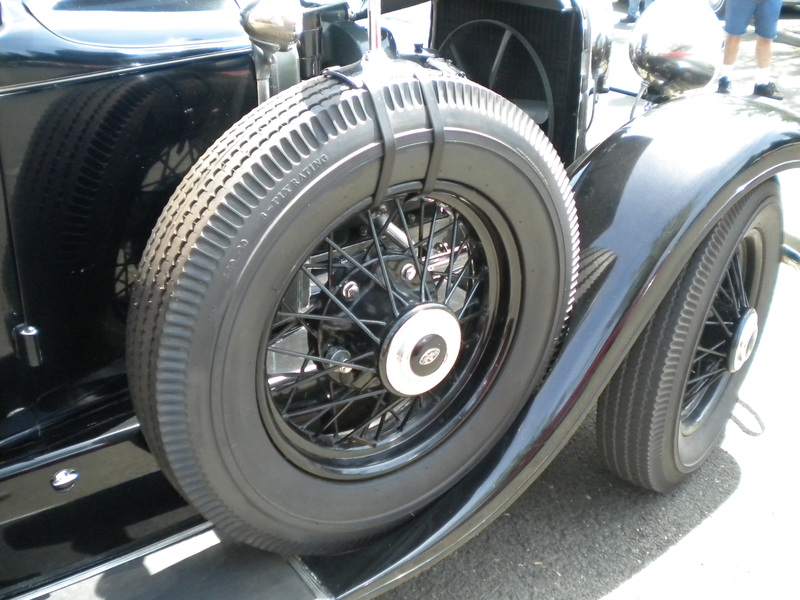 Wanna know why tires aren’t made like this anymore? Because they don’t offer much grip, but they offer looks. 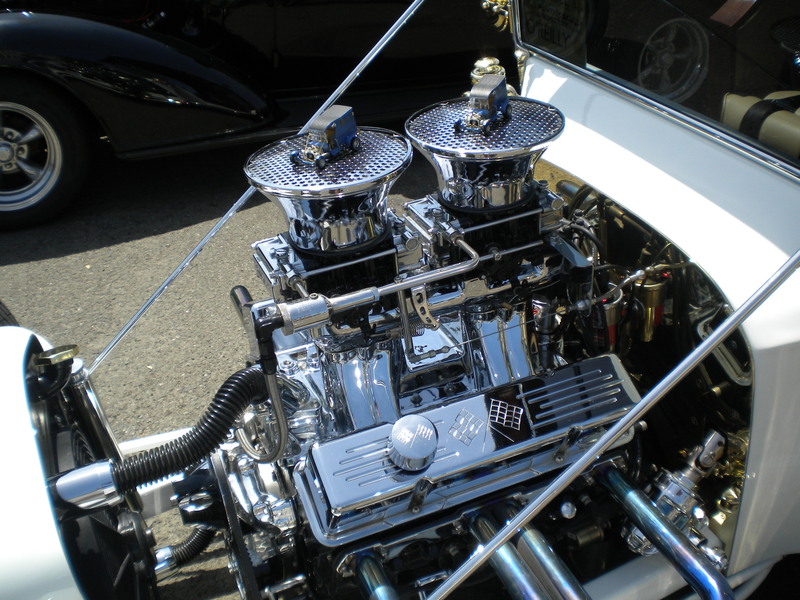 The engine might look it just came out of Grandma’s basement, but it is a 385 cubic-inch V8 that puts out 200 horsepower and an astonishing 450 lb-ft of torque. It is all cast-iron, however. 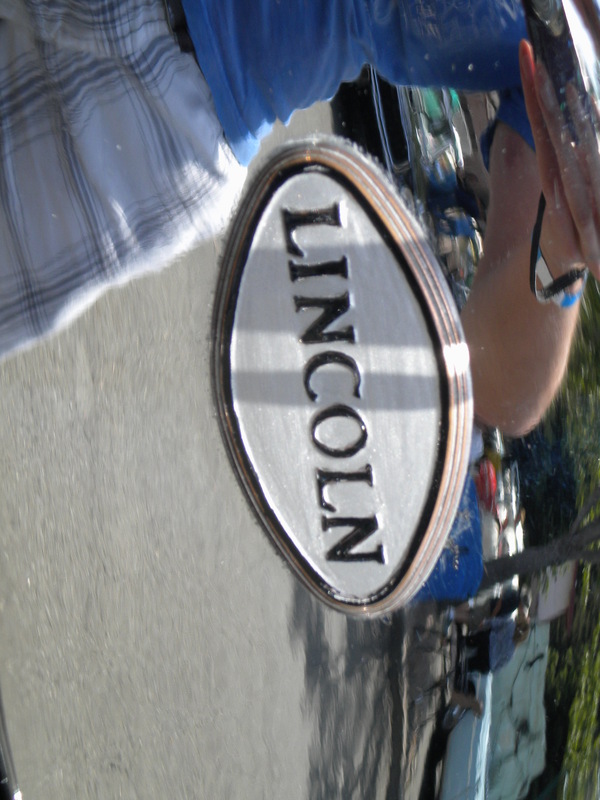 This is what Lincoln’s logo was until the early 1980’s, when Allan Mulally turned Ford, Lincoln, and Mercury around. I wish that it had stayed the same. For those of you who still don’t know what this car is, maybe this will help. 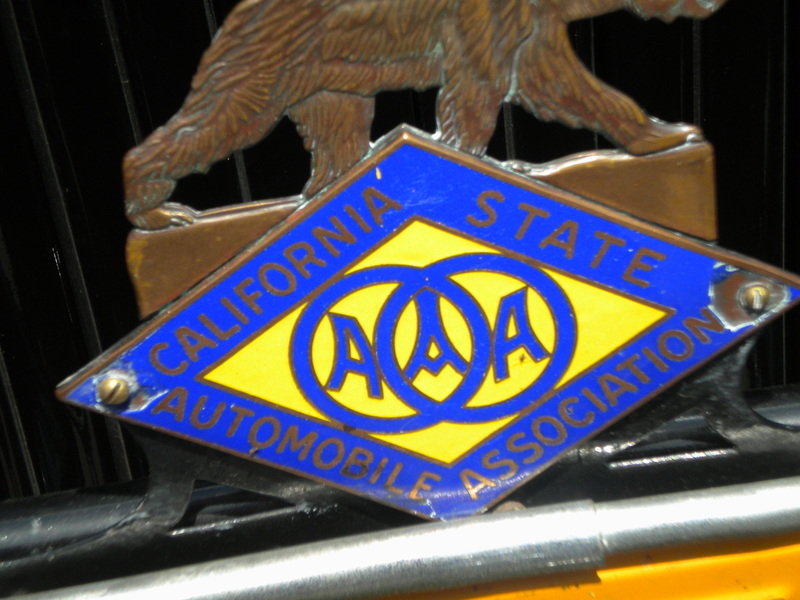 I bet that this is the first AAA badge like this that you’ve ever seen. It tells the tow truck driver to take you to the nearest AAA-certified shop to fix your Lincoln. Here’s a picture of the whole car. It’s long, coming in at 26 feet long. It’s 7 feet tall, and four feet wide. Good luck getting it into a parking structure. It also happens to weigh 6500 pounds. Good luck towing it with your Honda. This 1958 Ford Thunderbird is a beauty. There’s no other way to explain it. 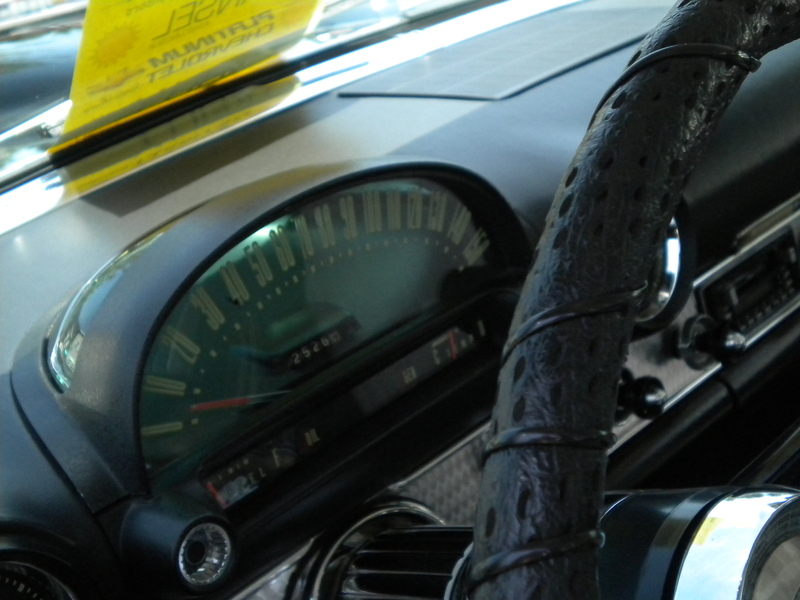 The interior is like a cave, typical of old T–Birds. 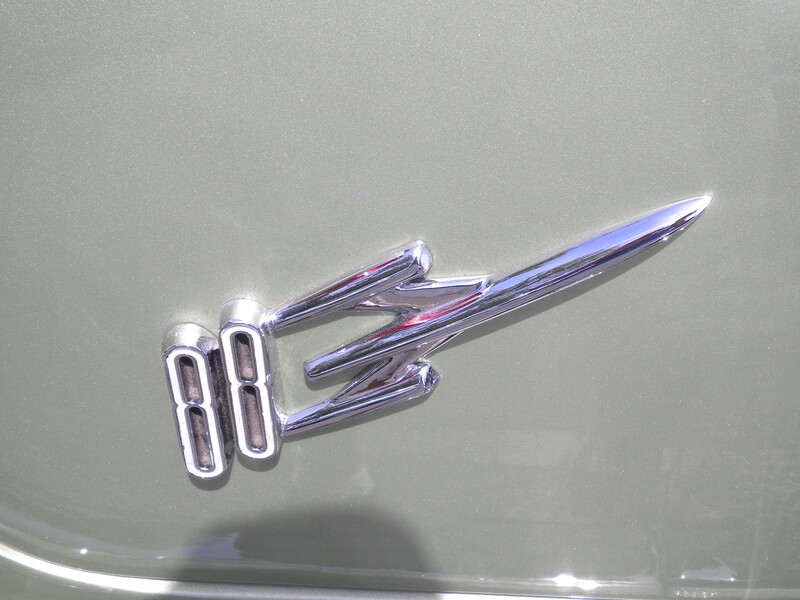 Many people confuse the Thunderbird with the “Screaming Chicken” of the 1979 Pontiac Trans Am. 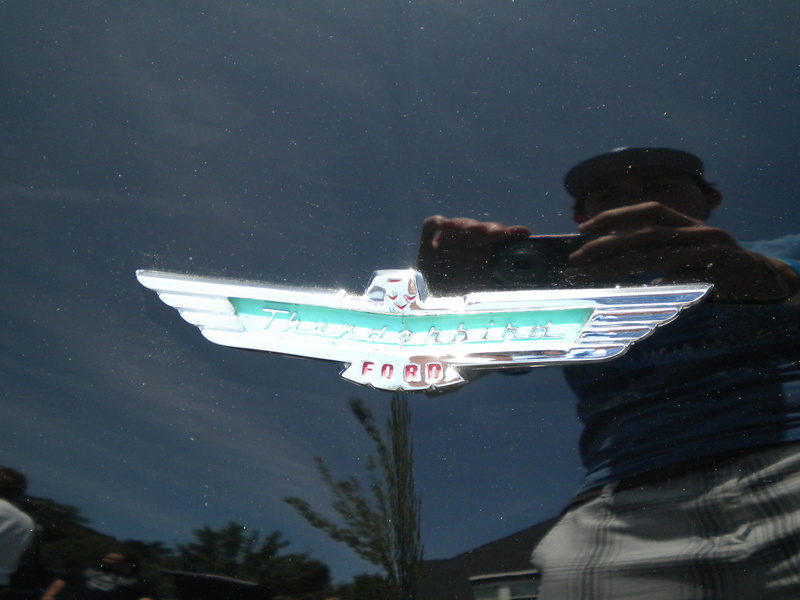 The Pontiac Firebird Trans Am logo from 1979 is referred to by car buffs as the “Dunderbird.” Don’t ask. Enjoy reading the specs sheet. I did. 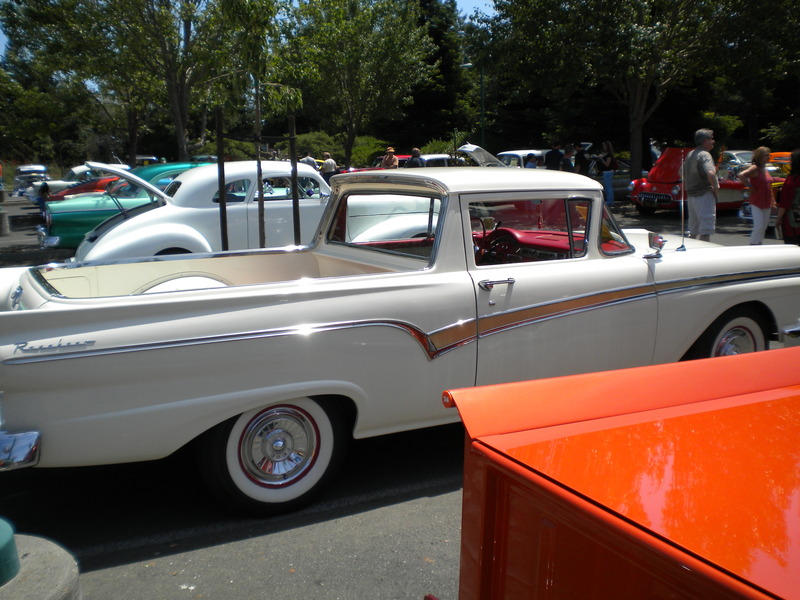 Another piece of delightful Dearborn muscle is the 1959 Ford Ranchero that is in great condition. I absolutely LOVE this logo. 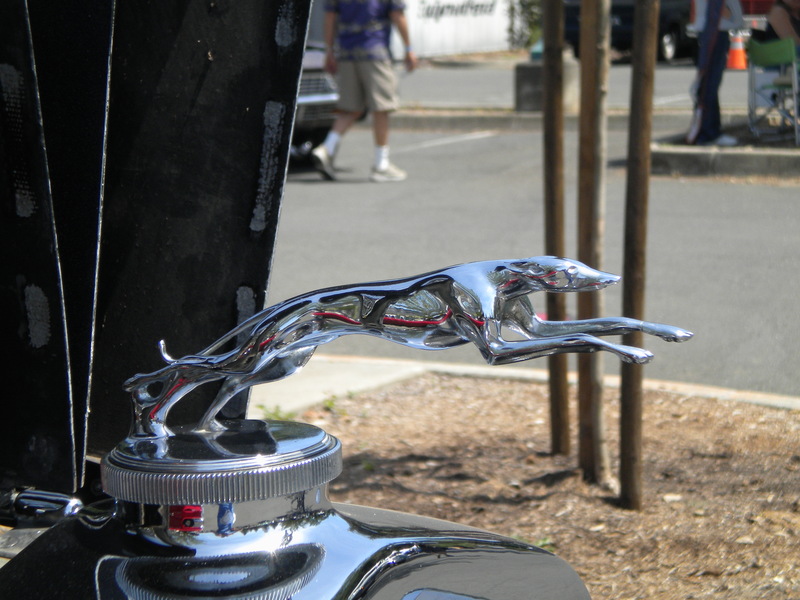 It’s cool, and modeled after a ox skull the VP of product design saw in 1958. 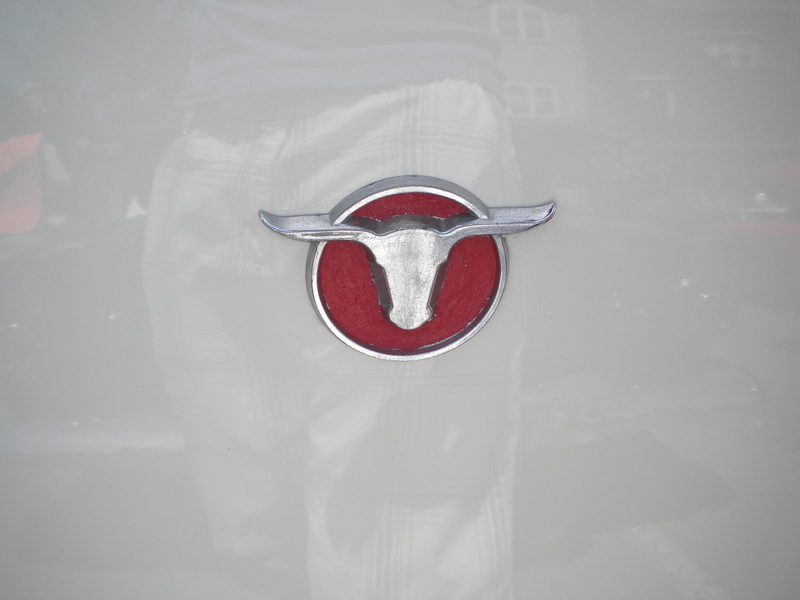 This is what the old Ford truck logo used to look like. Now, it’s all the same. Boo-hoo. 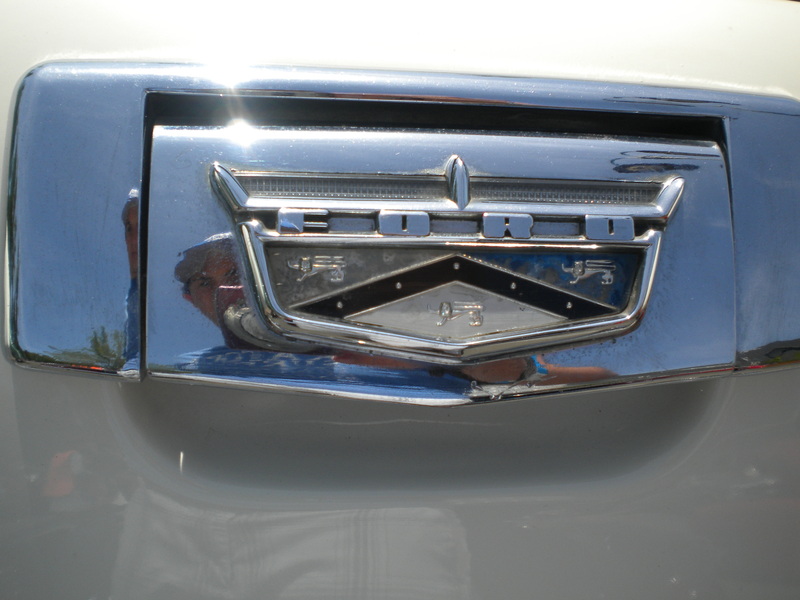 This is from the era of big, flashy chrome-plated vehicles. 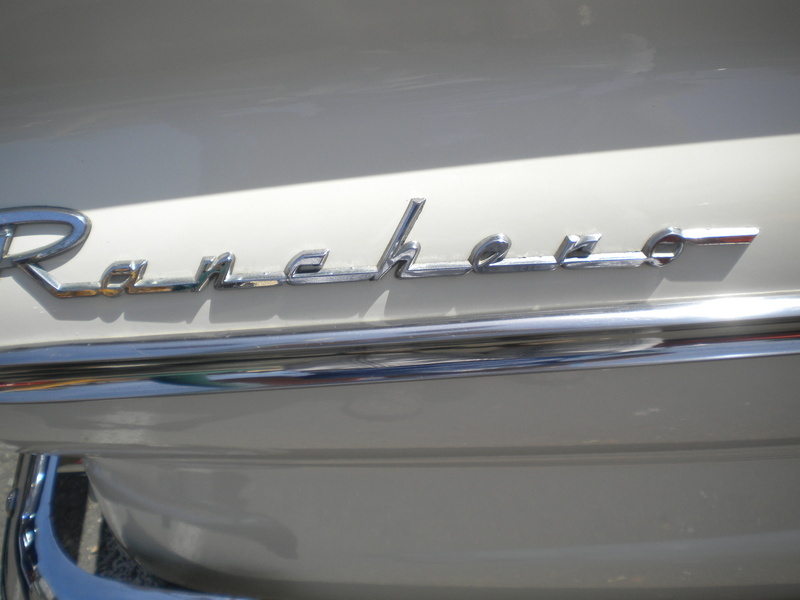 The Ranchero is a great of that. For hot rod fans, this is apt to satisfy. It did for me. It’s a luxurious, yet basic interior. Just the way I like ’em. I like the paint scheme. Also, I think that the wheels could be a bit taller. it makes the car look oddly proportioned. 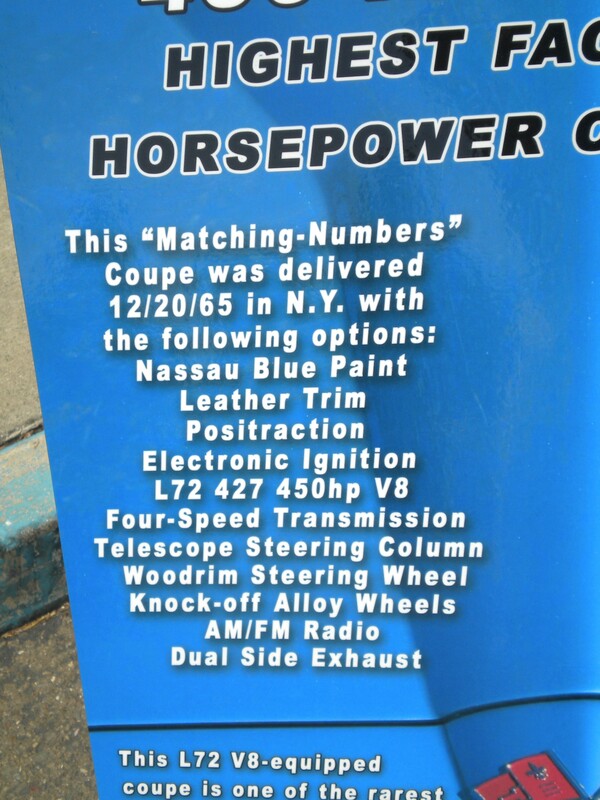 These 1966 Ford Mustangs were made on the same day and bought by the same person. What a coincidence. The red one was owned by the father of the owner, who is recently deceased, and the cream-colored one belongs to the owner’s mother, who still drives the car weekly. Her daily driver is a 2006 Mustang GT Convertible. I envy her. 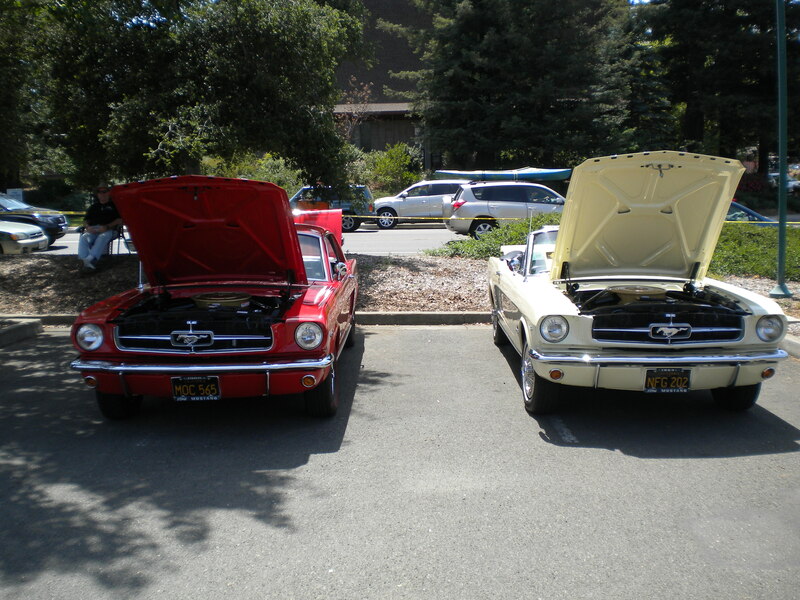 Both the Mustangs have identical running gear. 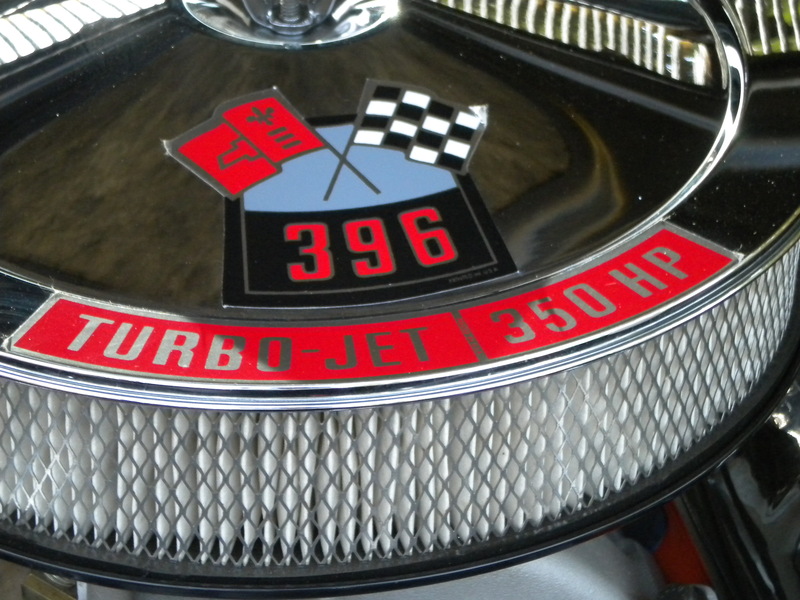 This engine badge on the air cleaner identifies itself as a 289 cubic-inch V8 (4.6 Liters). 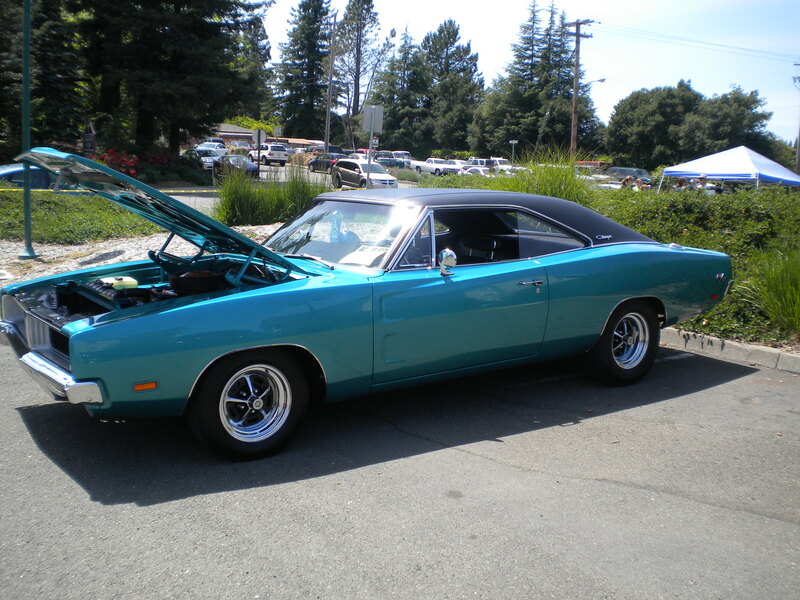 This pristine 1968 Dodge Charger R/T is in mint condition. It should be. 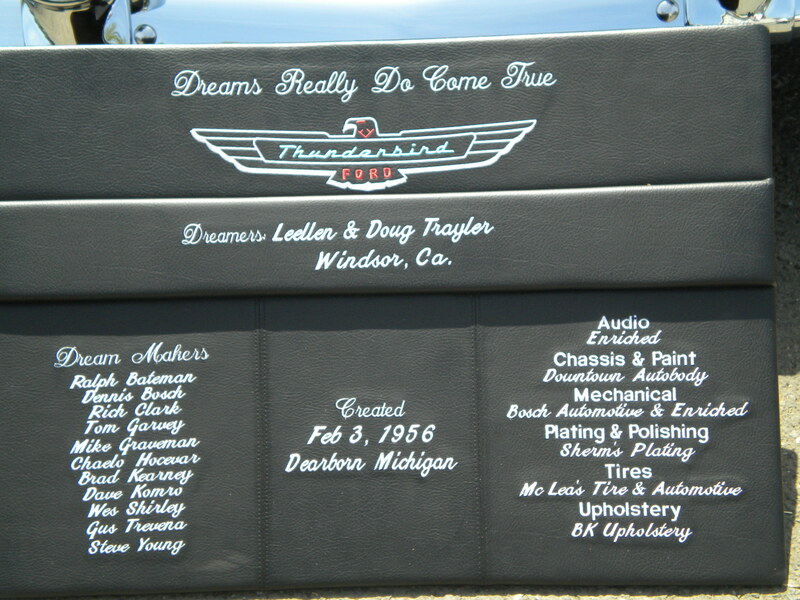 It was restored in 1991 by the current owner’s uncle, who owns a local restoration shop. He’s put less than 1,000 miles on the car since then. It looks so nice, because it is. The paint job is especially nice. 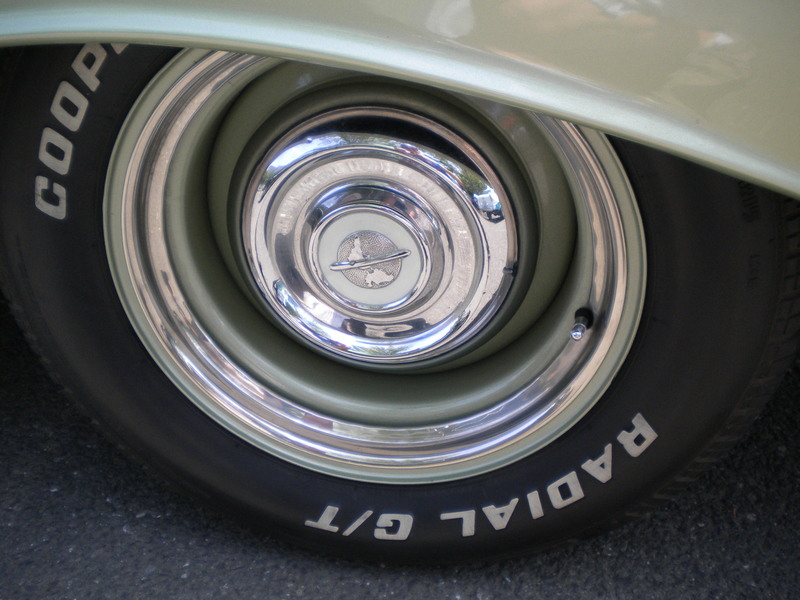 These wheels are so amazingly cool that it’s impossible to describe my affection for them. They are 19-inch wheels. 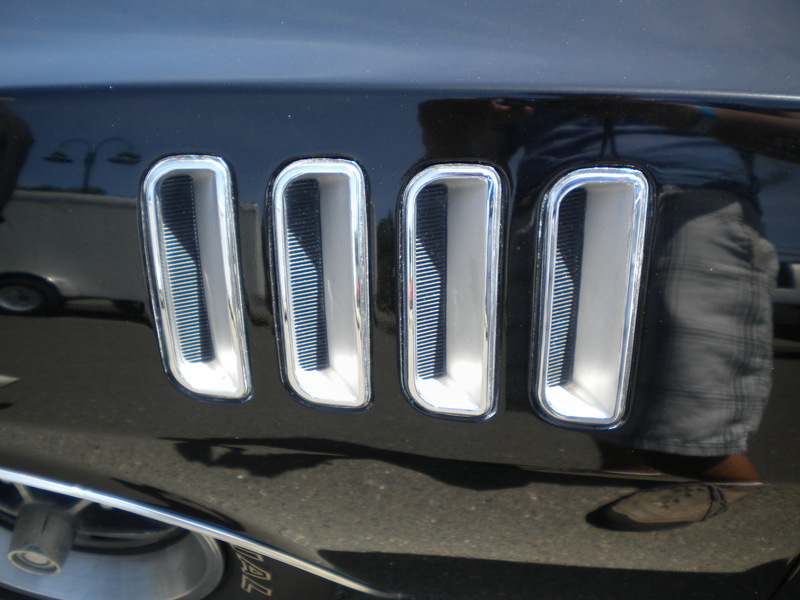 It even has the legendary 426 cubic-inch Hemi, which dominated for many, many years. People still sing it’s praises. This Charger can outrun a current-generation Ford Mustang Shelby GT500 in the 1/4 mile. I guess that good engineering pays off in the long run, right? 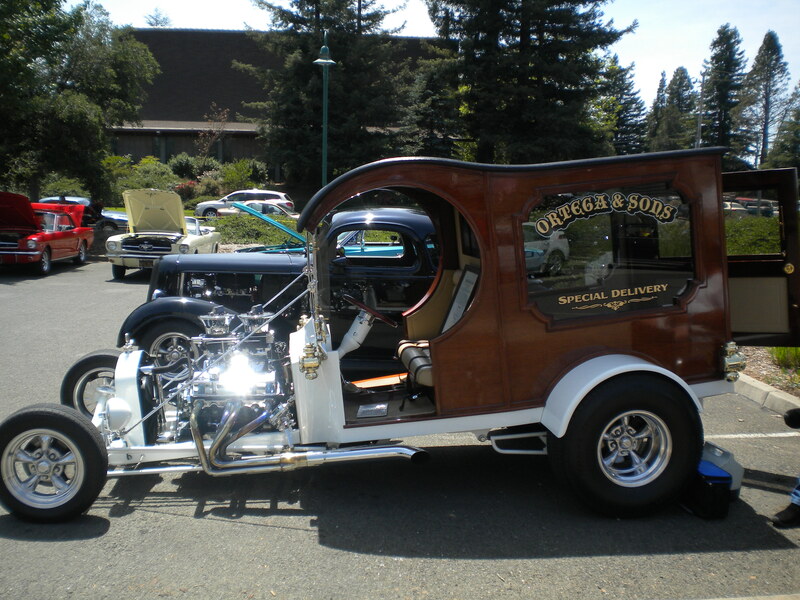 This kooky custom hot rod is driven all summer long. For everything bad about it, I can think of three good rebuttals. 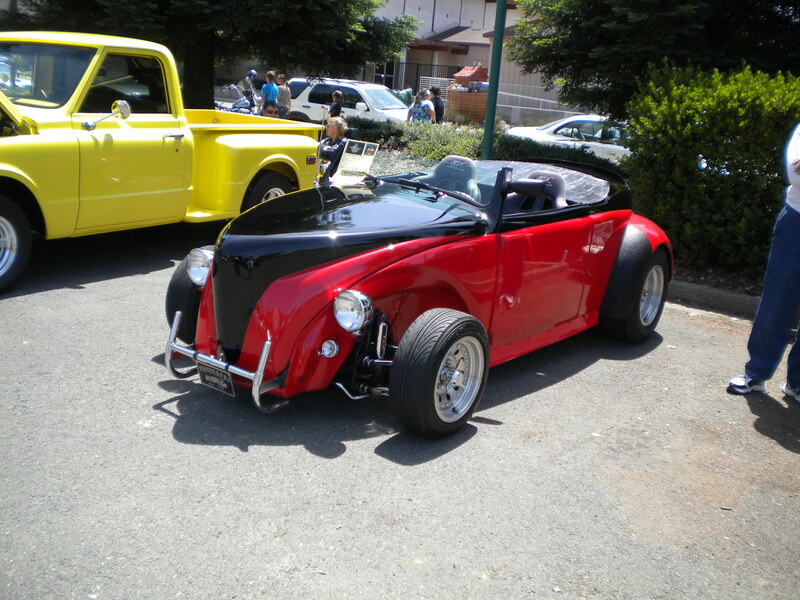 It looks like a George Barris creation, but it’s not. I wish it was, though. 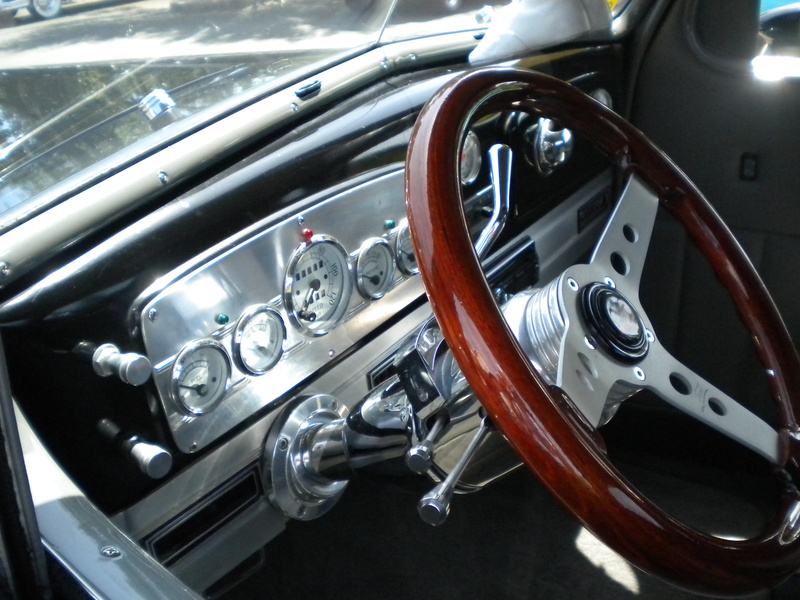 The interior is chrome, chrome, and more chrome. Same for the engine. Talk about a sleeper. 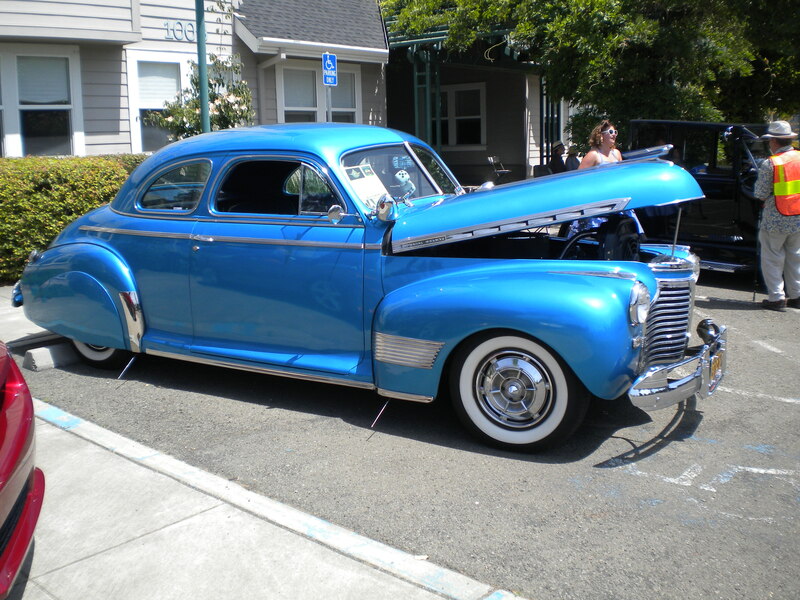 Who’d think that this mild-looking old Chevrolet business coupe from the 1930’s would take a shot of Nitrous Oxide. Our local Chevrolet dealer uses this as a ploy to bring customers in. It must work. See? 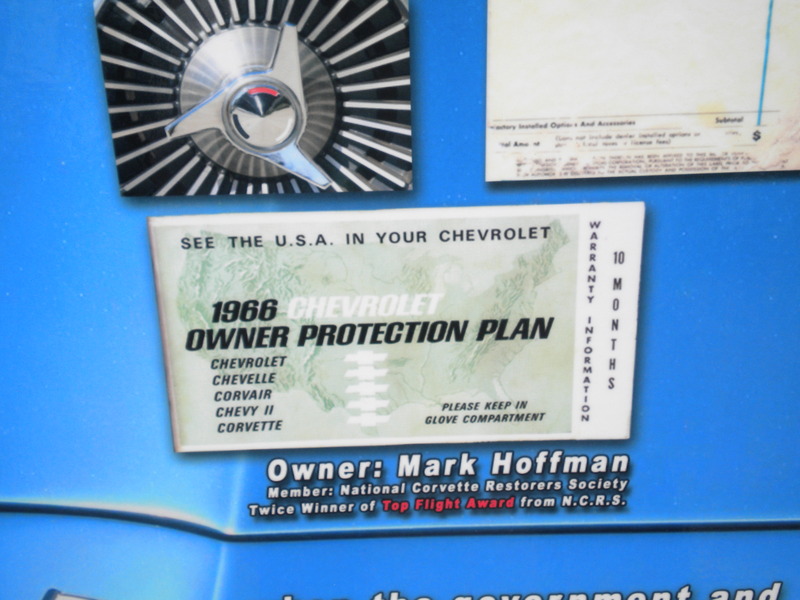 Here’s proof that our local Chevy dealer owns this car! Half of the interior is painted the same color as the exterior. Our local Chevrolet dealer also uses this 1969 Chevrolet Nova to bring people in. It’s a demo car that uses all of GM’s Goodwrench parts. It’s got a 502 cubic-inch V8 (8.1 Liters), and it’s certain to blow the pants off of any challenger. Talk about fast. 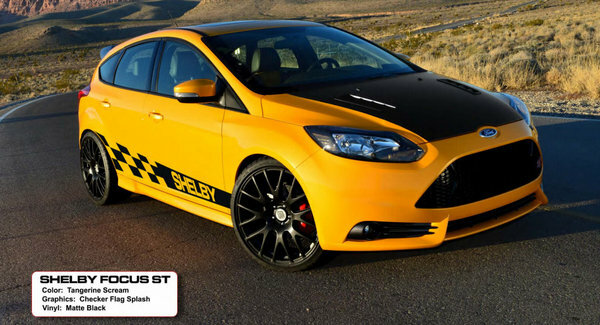 This car goes up to 190 mph. They tested it. I like the Nova’s coat of arms. That, and the body of the car are the only stock parts of the car. It’s got a Tranzilla T56 transmission, which is a six-speed manual. 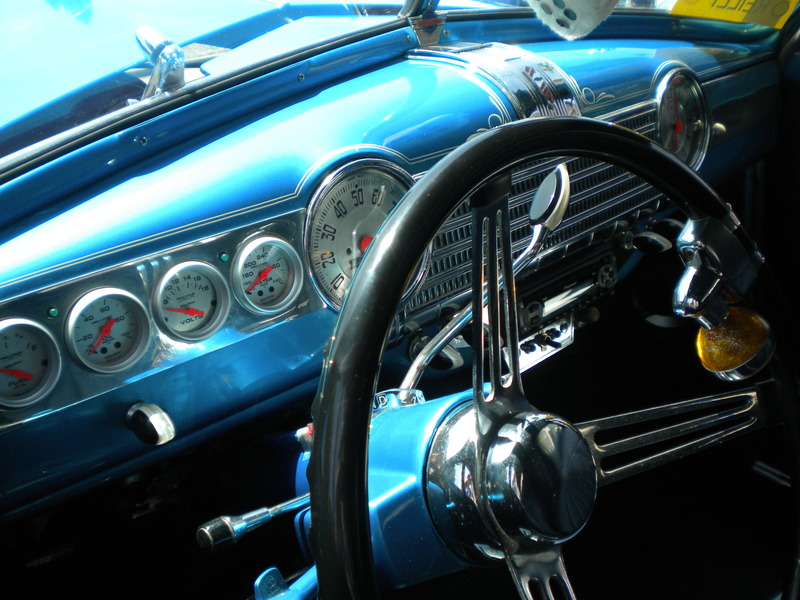 It’s a durable, fast-shifting transmission that is popular in the hot-rodding world. 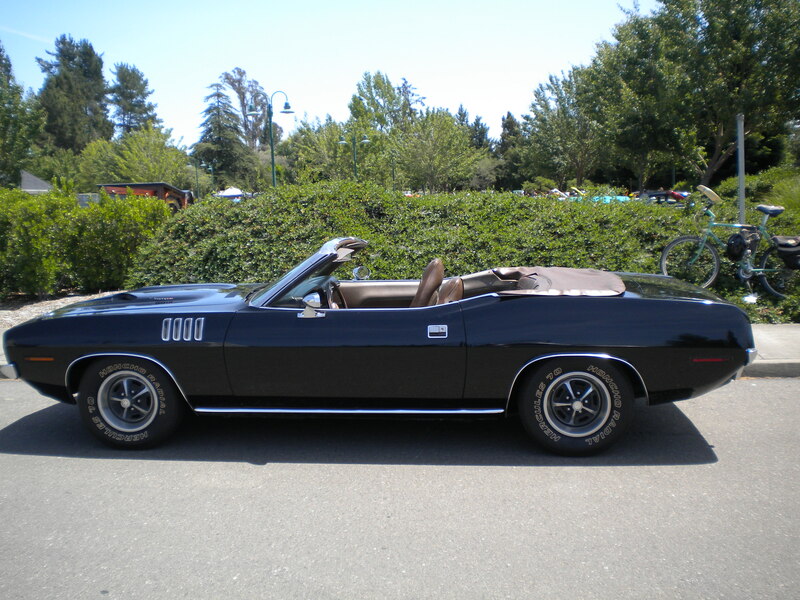 This double-black 1969 Plymouth ‘Cuda is one of very few convertible ‘Cuda’s from 1969. It’s rare, fast, and a helluva lot of fun. I love it. 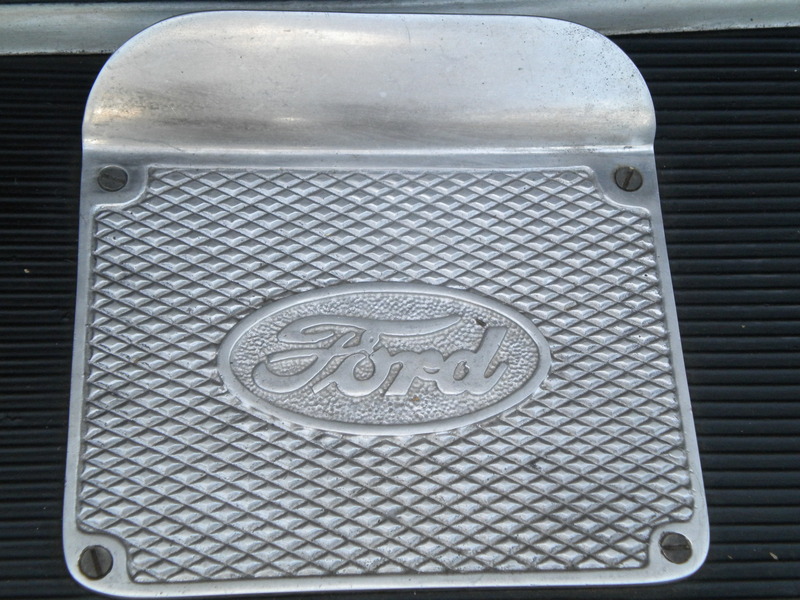 The grille is so amazingly cool that it will probably bring many of you back to the 1960’s. 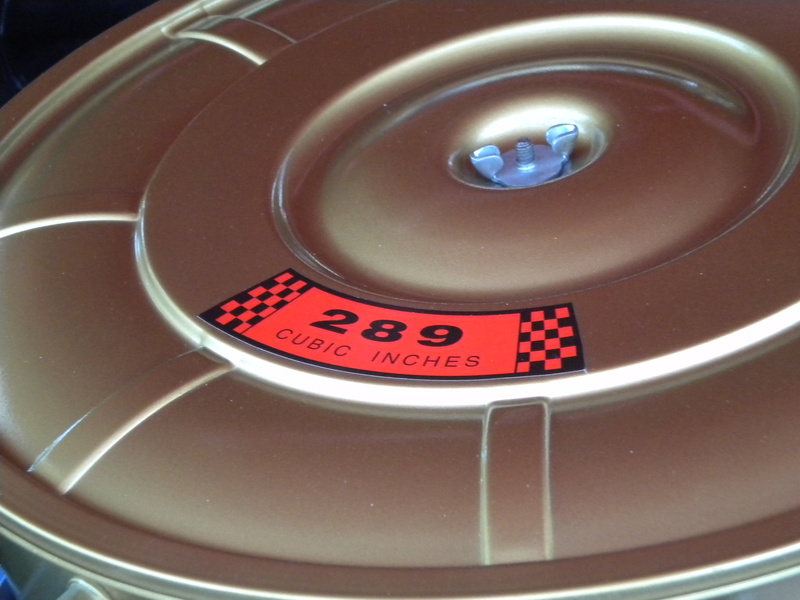 For some, it might look like it’s out of Vanishing Point, a 1974 movie about a man and a car. I won’t tell more. That little piece of bailing wire works. It holds down the hood. It’s a glamorous job. Those vents blast hot air out when the car is running. 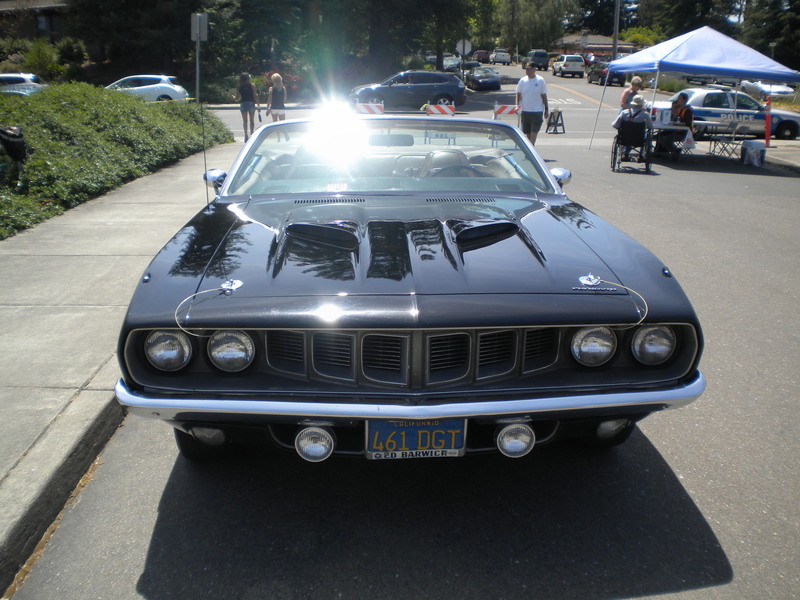 This was one of the first ‘Cuda’s to get the 340 cubic-inch V8. It’s a lucky car, and an even luckier owner. 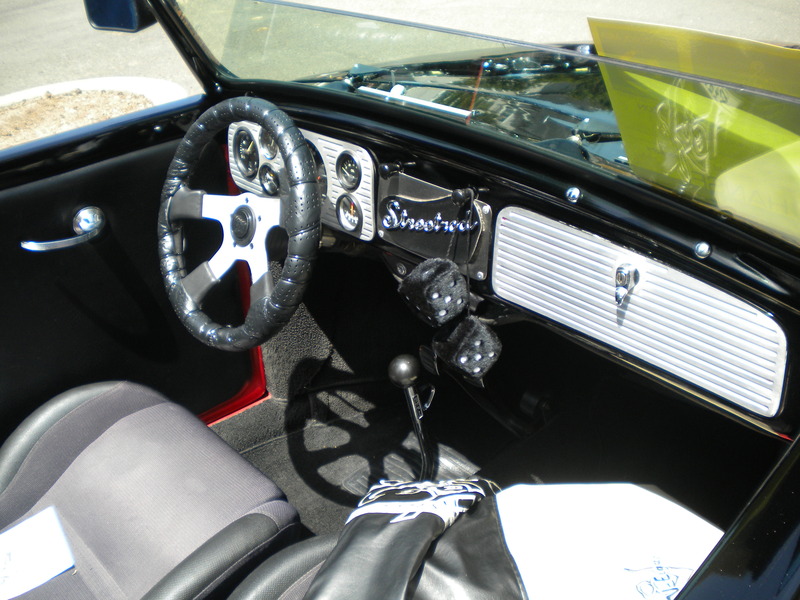 I like the faux-leather all over the interior. The steering wheel is big. It makes the steering wheel on a school bus look small. 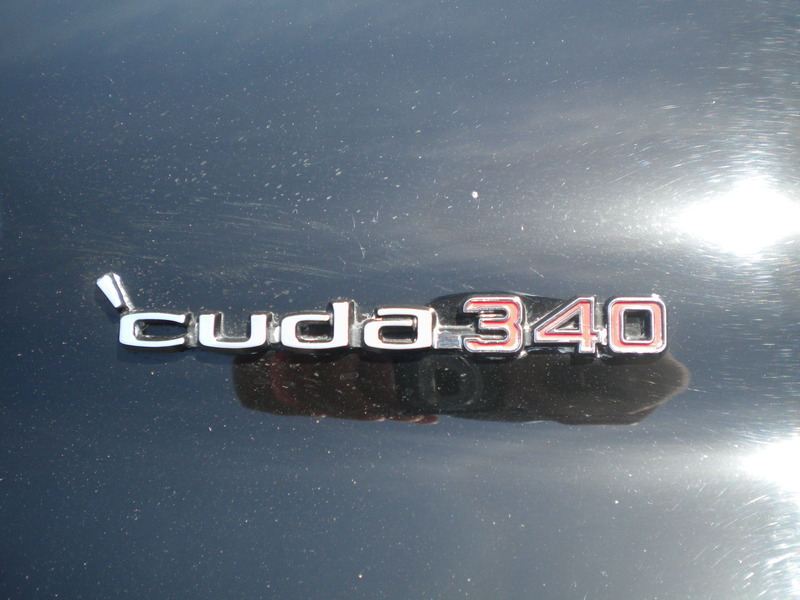 Here’s a view of the ‘Cuda. I wish it was an AAR ‘Cuda. 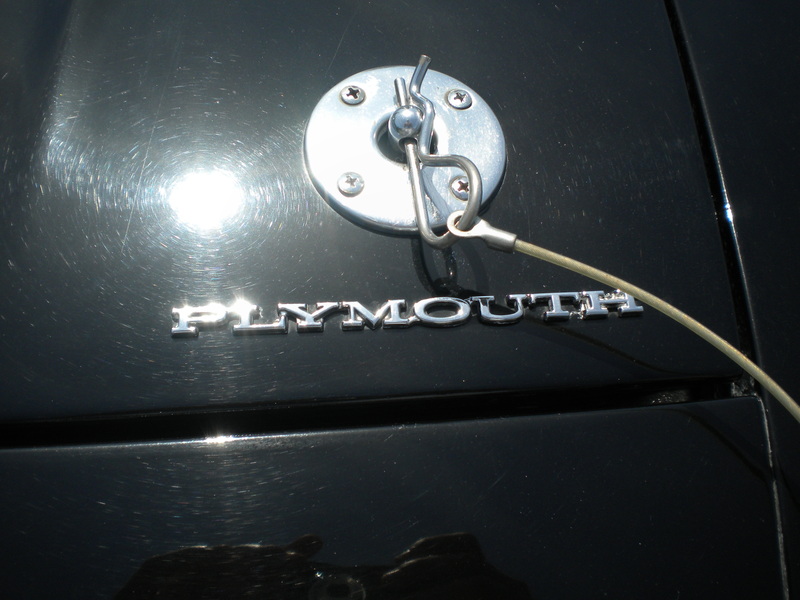 Google 1969 Plymouth AAR Barracuda. Then, we’ll be talking business. Quickest Off of the Line! Lamborghini recently hit a milestone with their Lamborghini Aventador LP700-4 – they have produced 2000 Aventadors’ in the short time span of two years. That comes out to five cars a day. The 2000th example is Nero Nemisis (black), bound for the U.S. AT&T’s Chief Information Officer, Thaddeus Arroyo. He also happens to own a Gallardo LP550-2 Spyder, according to Lamborghini. In case you’ve forgotten, the Aventador is powered by a 6.5-liter V-12 engine good for 700 hp and 509 lb-ft of torque. Power is sent through a seven-speed single-clutch transmission to all four wheels via a Haldex all-wheel-drive system. The Italian supercar is good for a top speed of 217 mph. Here’s a picture of the proud Lamborghini crew posing in front of #2000. Congratulations, Lamborghini. I can’t wait to post on #10000! A stable of 11 of the world’s fastest super cars recently sold at auction for 3.1 Million Euros in France (about $4 Million USD). Originally, the cars belonged to Teodoro Nguema Obiang Mangue, the son of Equatorial Guinea President Teodoro Obiang Nguema Mbasogo. What a mouthful. The cars were seized in 2011 by French authorities under the alleged suspicion that Teodoro stole public funds to buy the cars and other items. While that’s bad, I’m more interested in the cars (sorry). Law’s not my calling. When French authorities raided Mangue’s 101-room mansion near the Champs Elysees in Paris, France. The cars seized had little to no mileage on them, and they are: Two Bugatti Veyrons, a Ferrari Enzo, a Maserati MC12, a Porsche Carrera GT, a Ferrari 599 GTO, a Rolls-Royce Ghost, a Maybach 62S Landulet, an Aston Martin One-77, and a pair of Bentley’s (a Mulsanne and a Continental SuperSports). International Business Times reported that international auction house Drouot sold the cars. Considering the fact that a Bugatti Veyron, even a used one will set you back at least $1 Million, the winning bidders made themselves the deal of a century. Other items seized and sold at the auction were vintage wines, rare jewels, and paintings by artists such as Degas and Renoir. Court documents revealed to the press that the cars were part of a fleet of 26 rare and expensive cars shipped to France from the U.S. in 2009 at a total cost of $12 Million. The remaining 15 cars were shipped to Equitorial Guinea in 2010. These same documents reveal that an arrest warrant has been issued to countries such as the U.S., France, England, New Guinea, Australia, and Germany. The grounds? Misused public funds. International Business Times also reports that Equitorial Guinea is appealing the case to the U.N. and have the investigation blocked because of diplomatic immunity. They claim that the Paris mansion is part of the country’s embassy. Only time and a U.N. court will give the verdict.